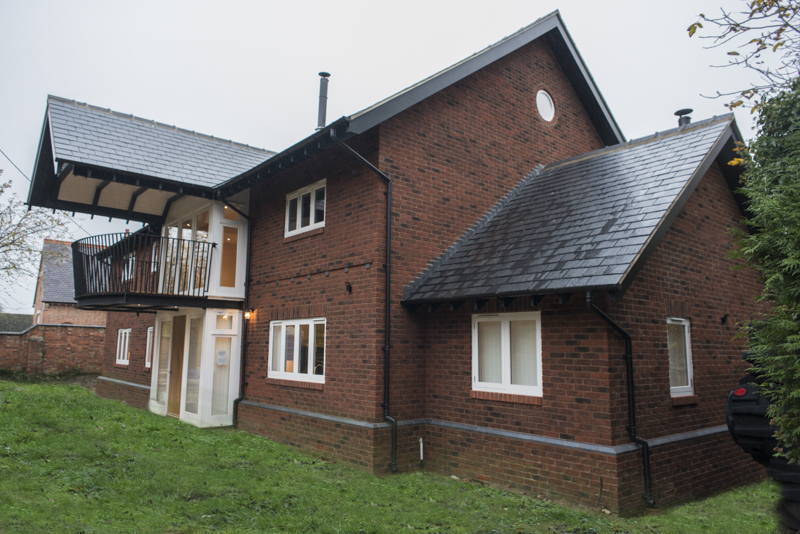 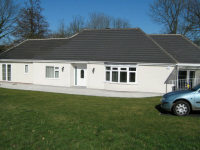 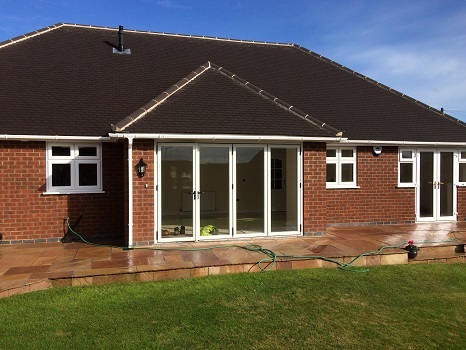 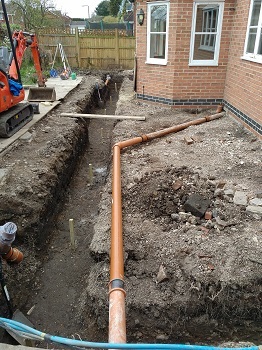 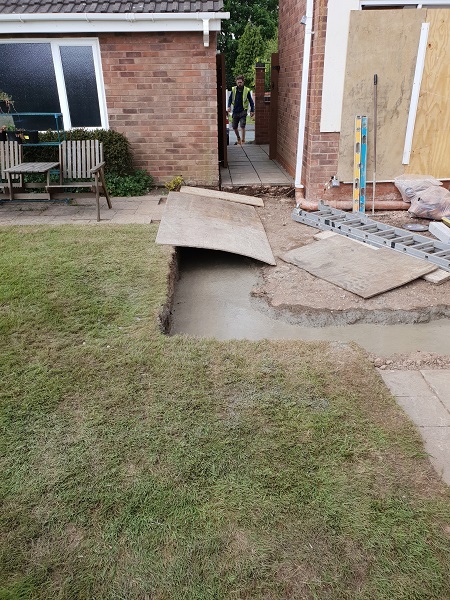 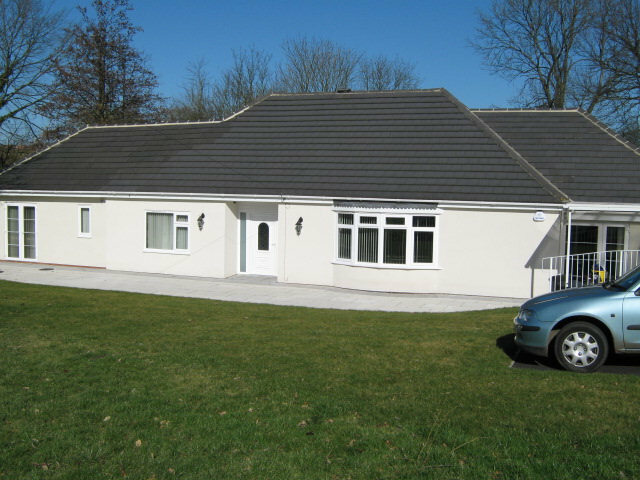 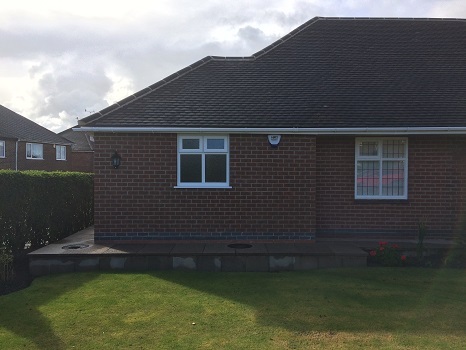 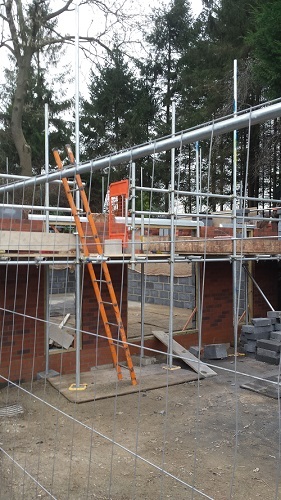 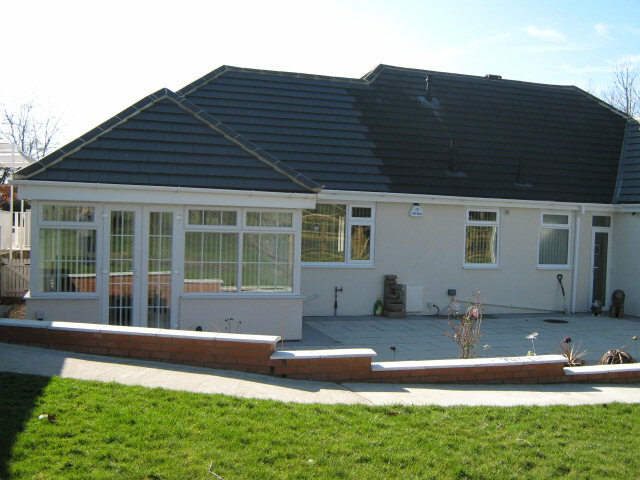 The project at Grange Lodge in Ripley consisted of extensions to the side, front and rear of the property. 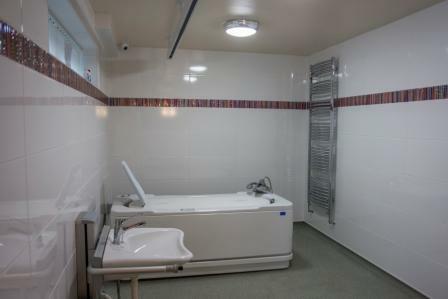 The project was carried out to enhance the living facilities of the tenant. 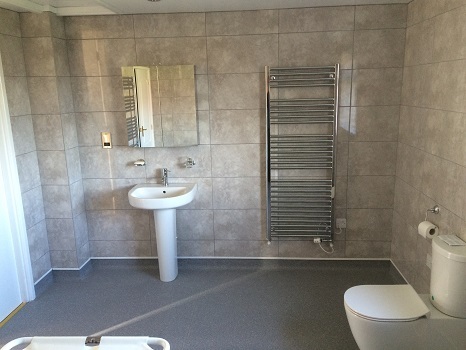 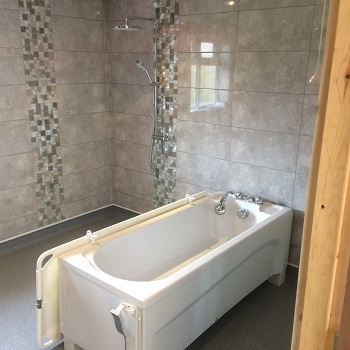 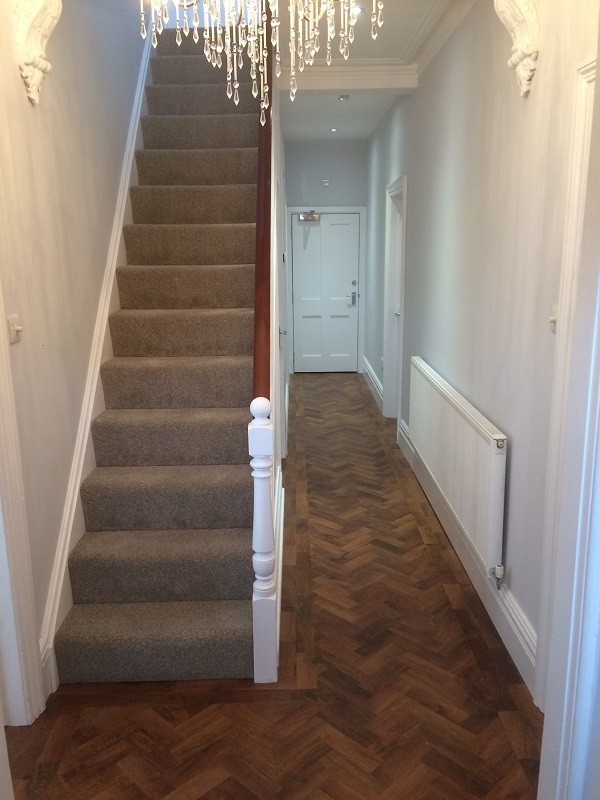 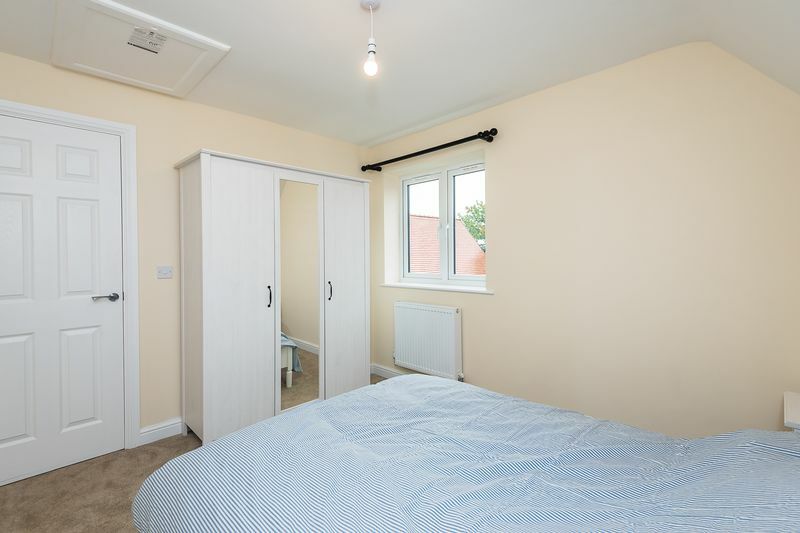 We also carried out a full refurbishment of the property including a number of internal alterations to allow for wheelchair access. 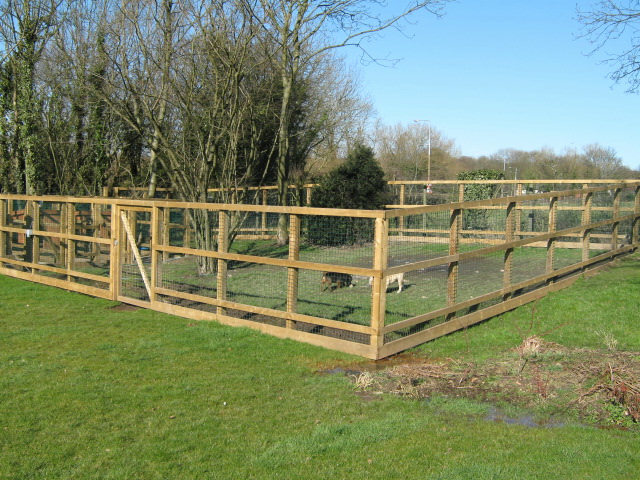 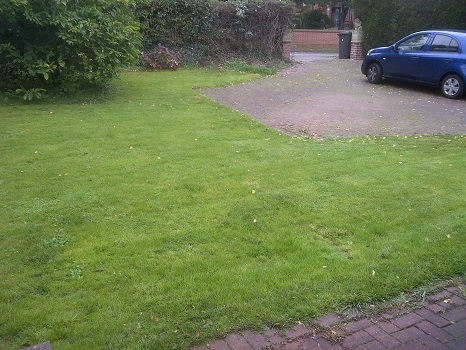 The landscaping included a car port, paving, turfing, fencing and the construction of dog kennels. 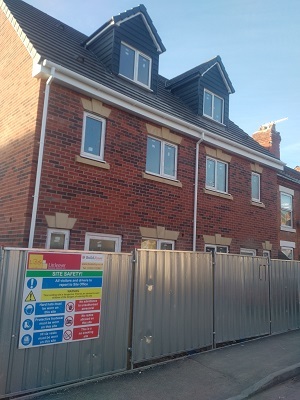 This project on Boyer Street in Derby was an 18 apartment new build for a local property developer on the site of an old textile factory. 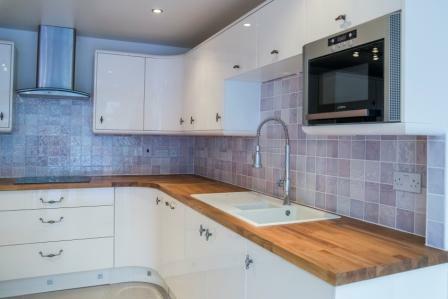 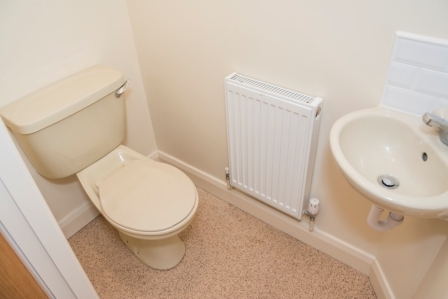 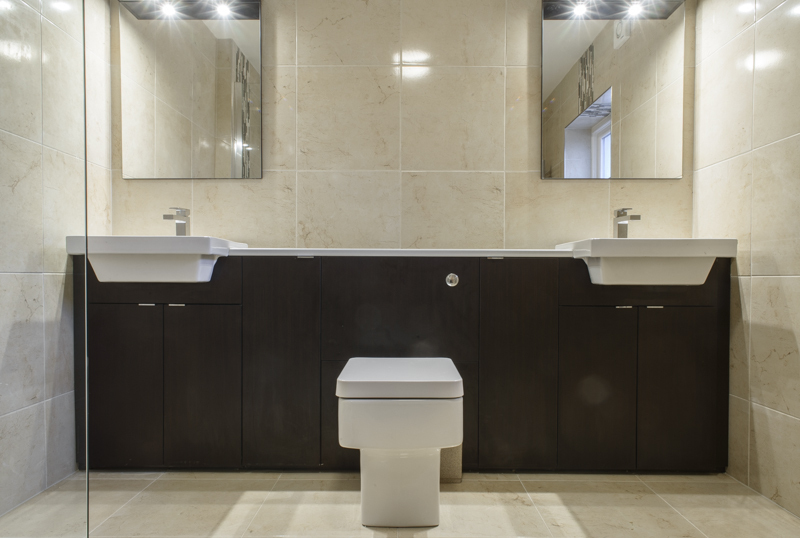 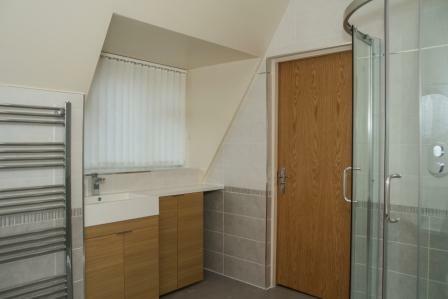 The complete fit-out of all the bathrooms, kitchens, living rooms and bedrooms was carried out. 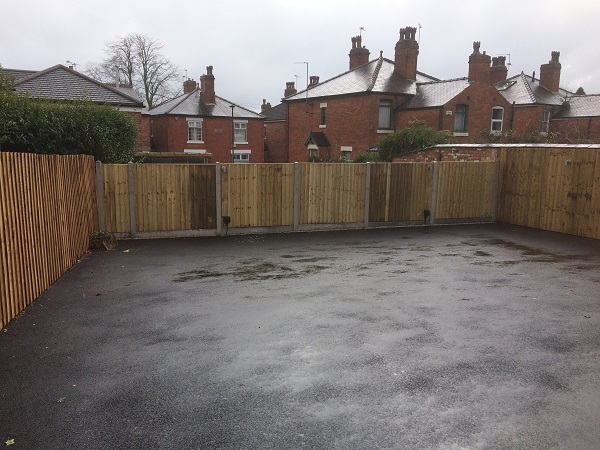 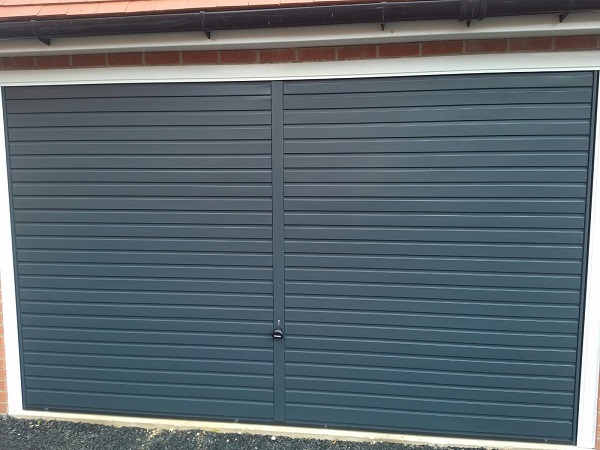 The project also included a flood defence wall to the side and rear of the property as well as all the external landscaping which included fencing and car parks. 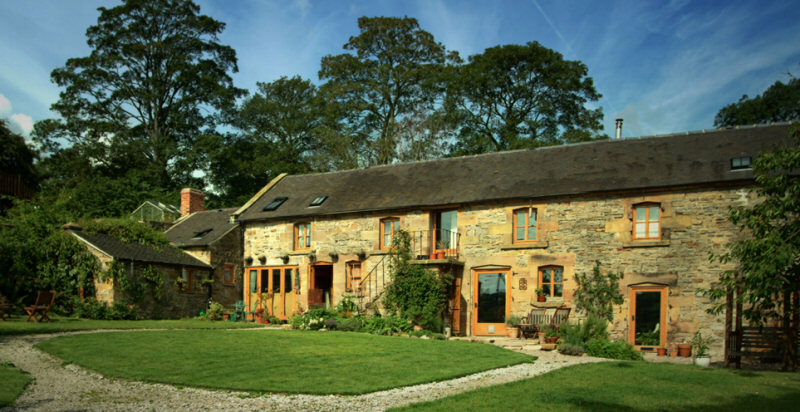 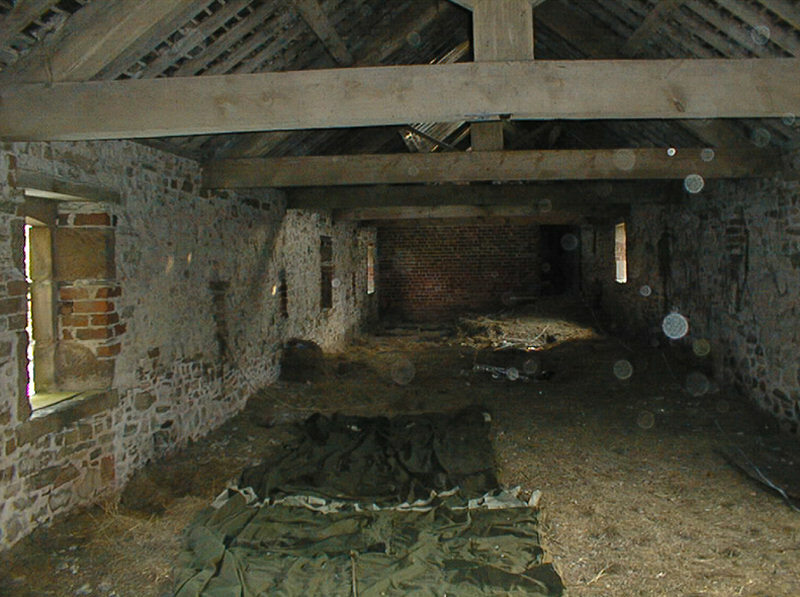 The conversion of grade II listed farm buildings into five separate living units, and the subdivision of a farmhouse into three separate units. 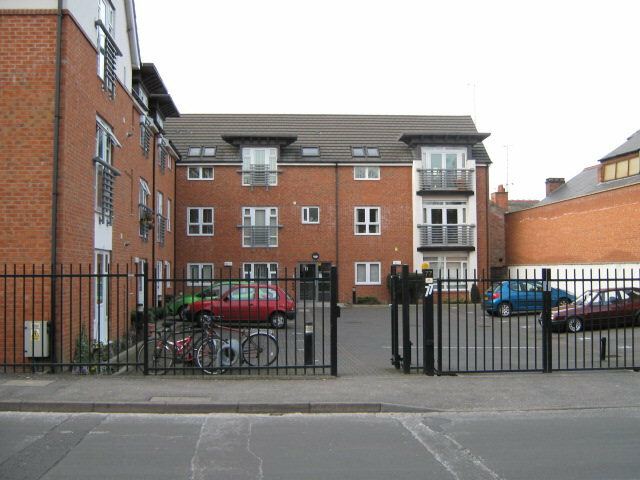 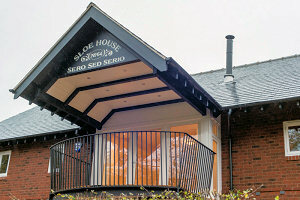 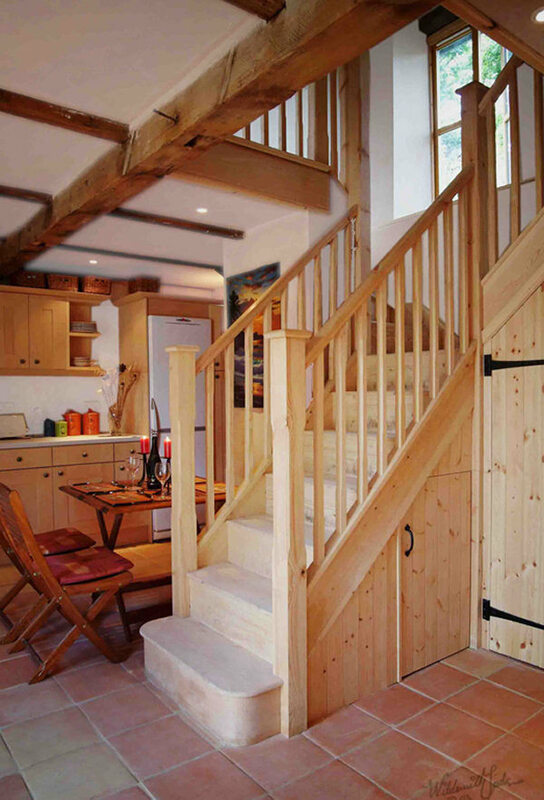 The project was awarded the Royal Town Planning Institute East Midlands Branch Award for Rural Regeneration in 2003. 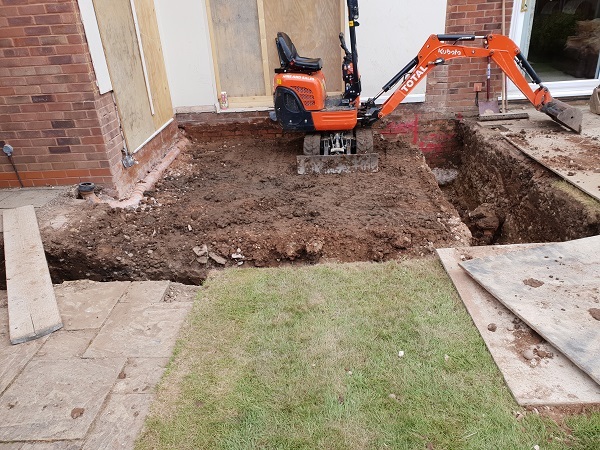 The project in Foxton, Leicestershire was the complete demolition of an existing property and subsequent building of a five bedroom house on the land. 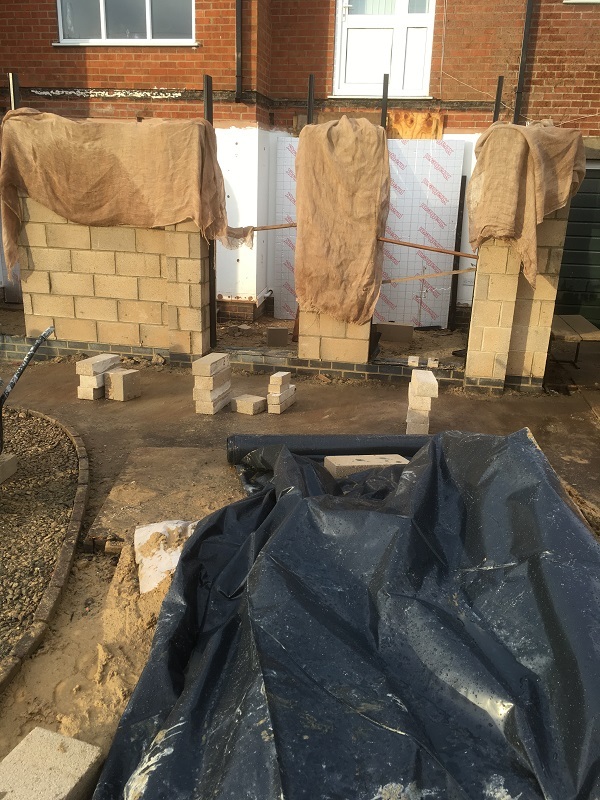 The standard of the work and the programming of the project was to a very high standard despite the restricted access to the site via the canal bridge at Foxton Locks. 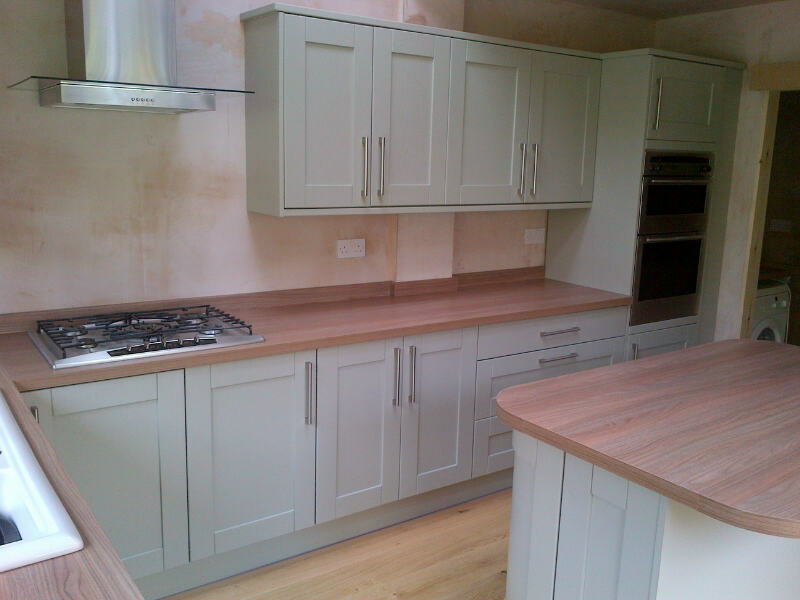 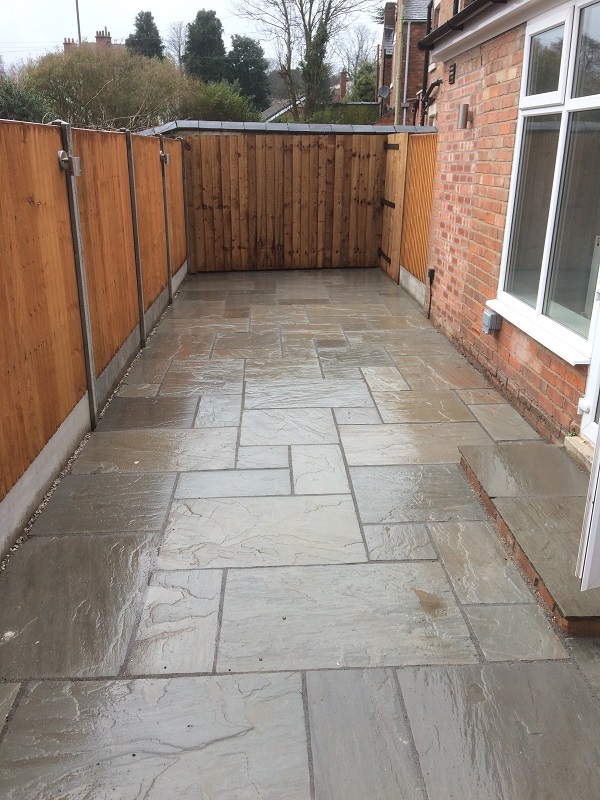 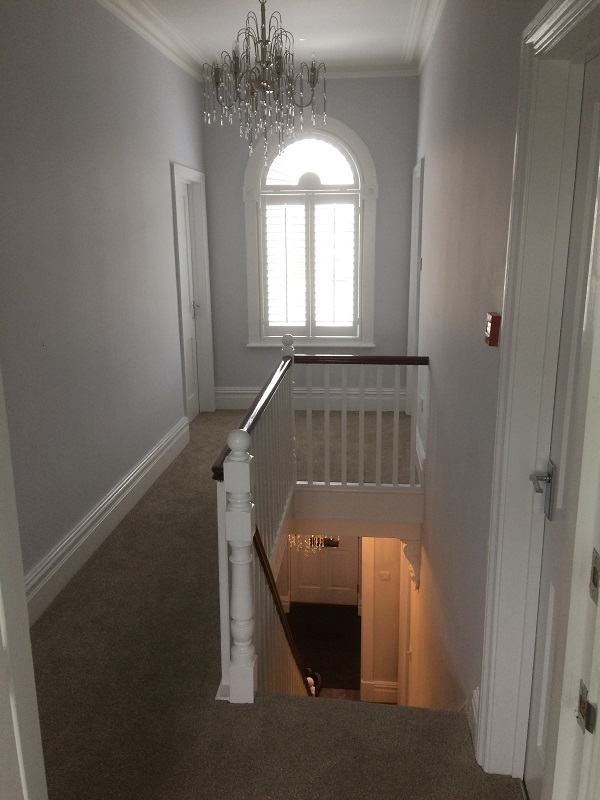 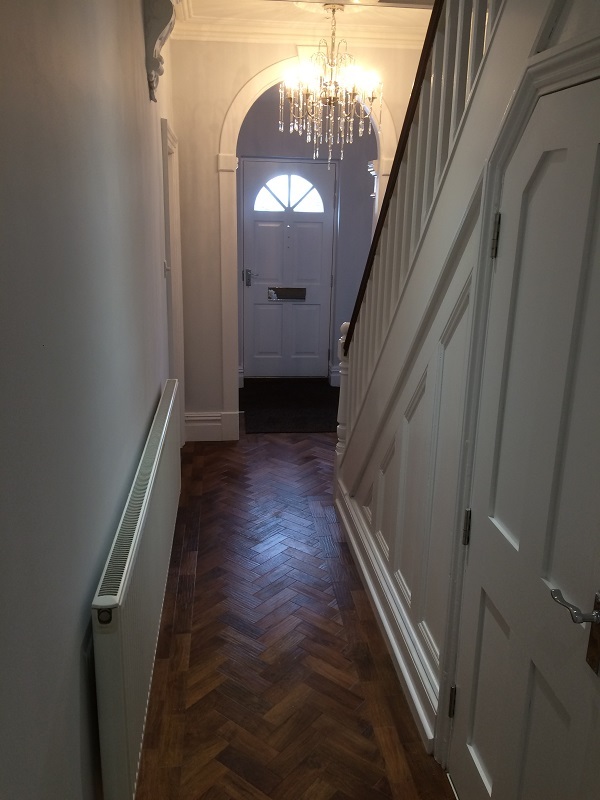 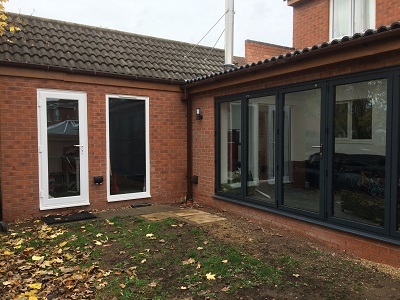 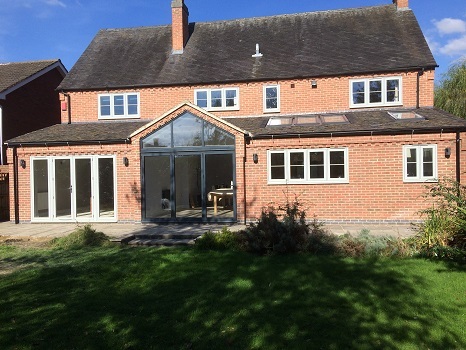 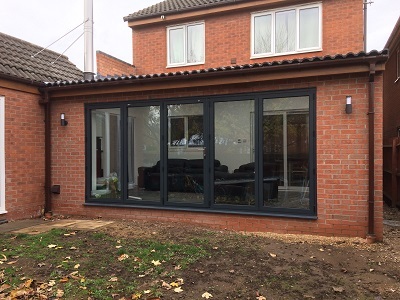 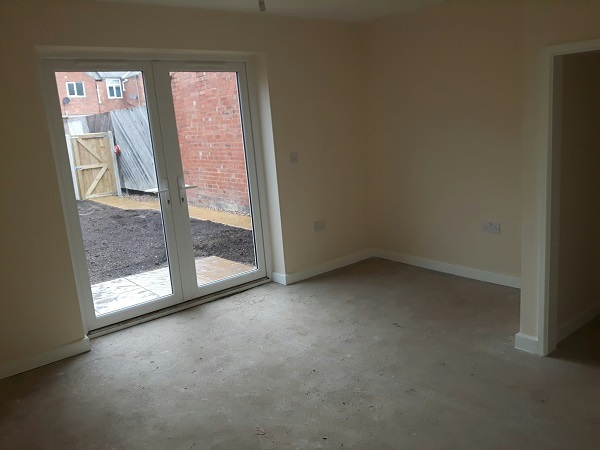 This project in Nottingham was a full internal refurbishment of an existing property as well as four extensions to the property. 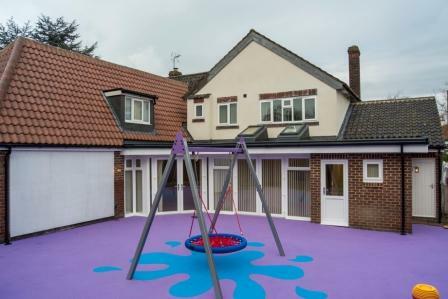 The property had specialist hoisting equipment installed as well as a feature play area to the rear of the property. 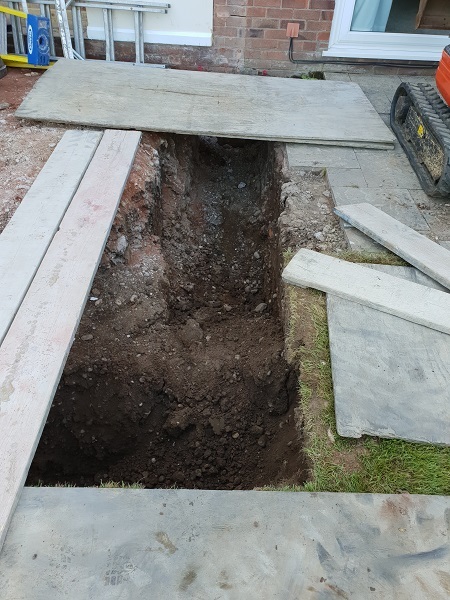 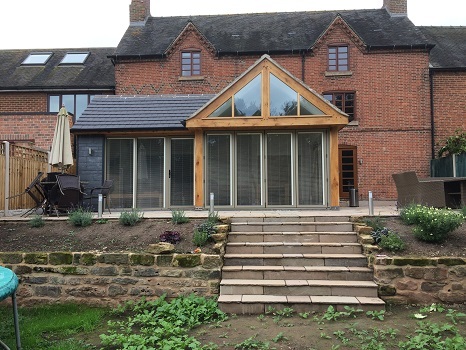 This minor project consisted of many items requested by the client including a 50 metre trench across the garden from the house for an electric cable and the extending of a number of retaining walls using timber sleepers. 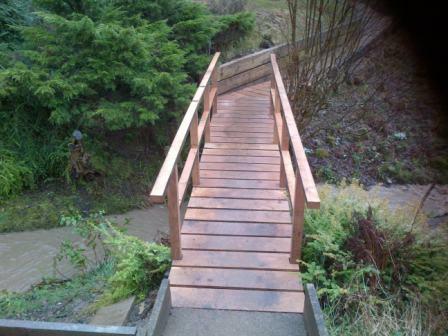 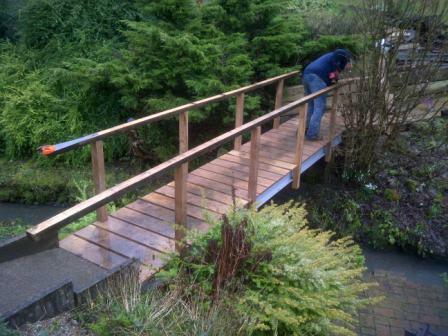 The main item of the works was the demolition of the existing timber bridge and replacing it with three 6 metre long steels with new oak treads and railings. 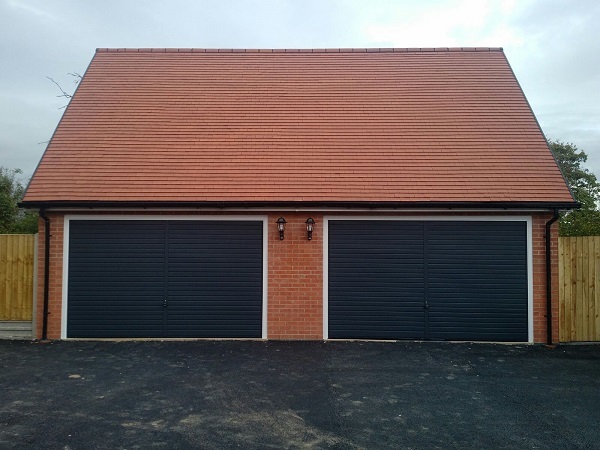 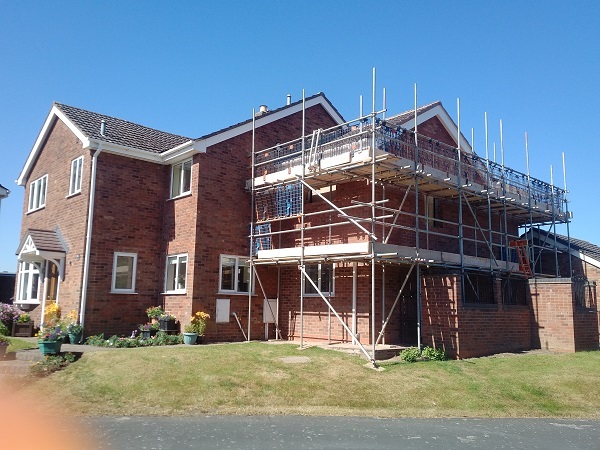 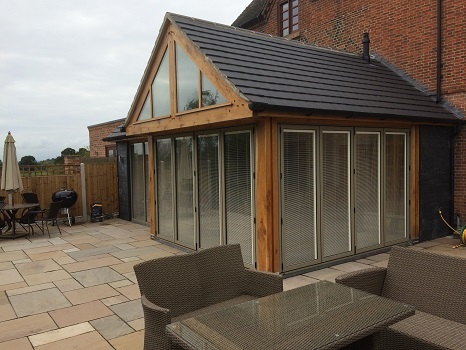 This project carried out by our roofing division was the stripping of the existing roof on the property and the complete re-roofing including tiles, membrane, battens, ridges, hips, valleys and leadwork. 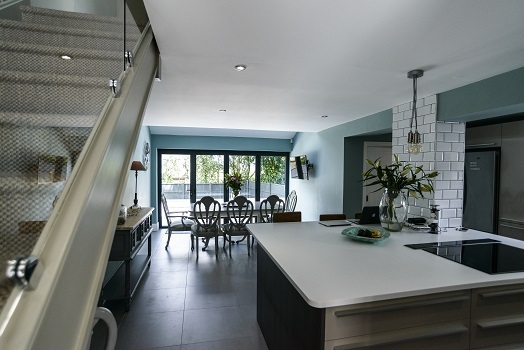 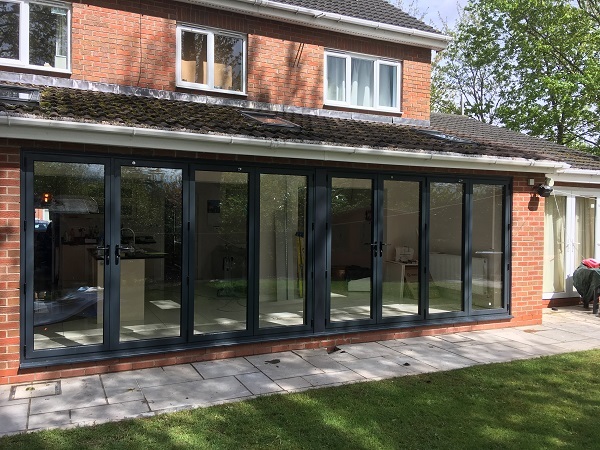 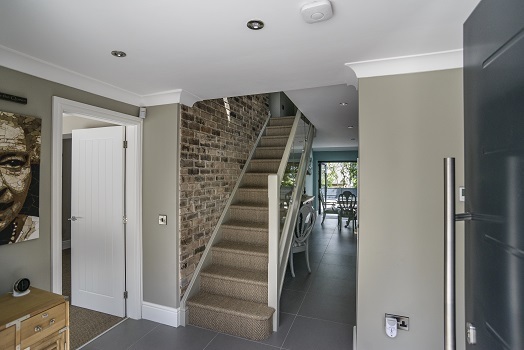 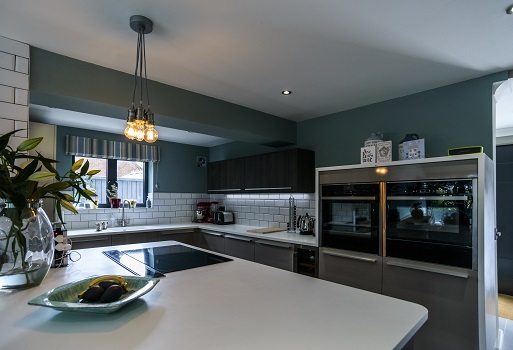 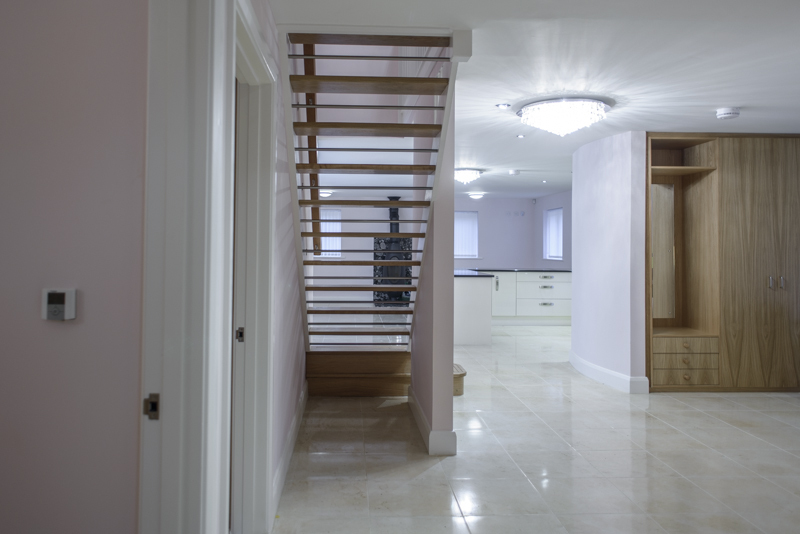 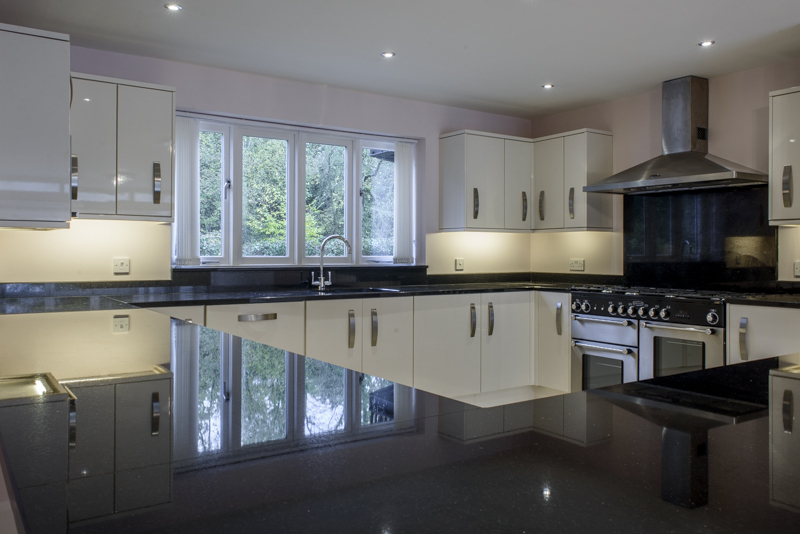 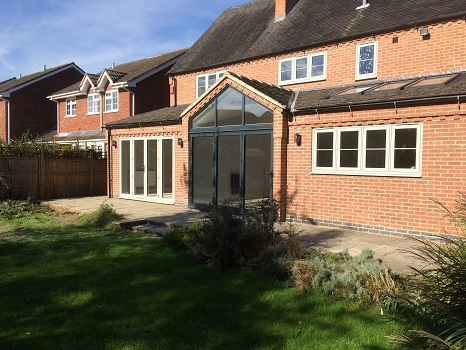 This project was a small extension to the rear of the property which also included internal alterations as well as the supply and installation of the kitchen units. 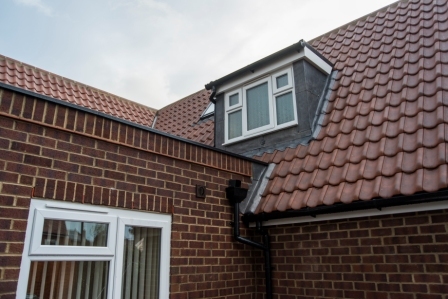 The plumbing and electrical works were carried out on this project and the roofing was completed by our own in-house roofing division. 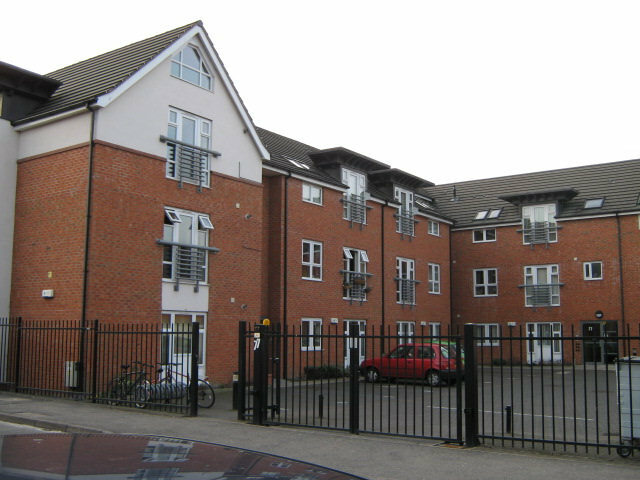 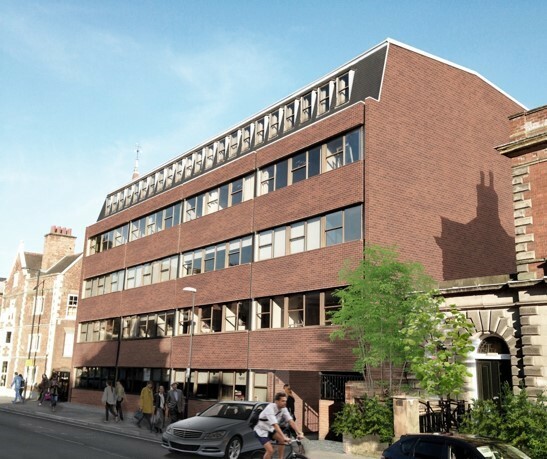 Burdett House is a five storey building, where the first three floors are made up of various different office spaces. 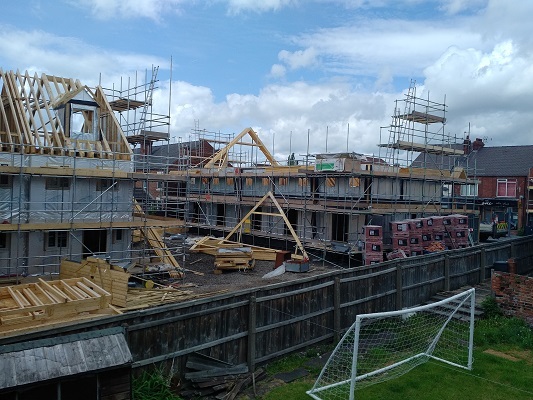 The top two floors we are converting into twelve spacious apartments, three of which are going to be two beds, one of which will have a en-suite and nine one beds. 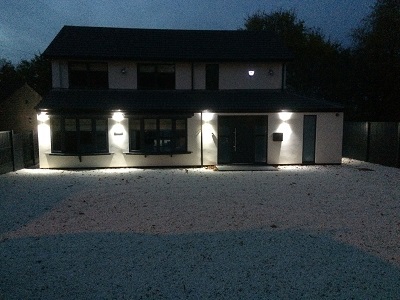 Burdett House is now very close to being completed. 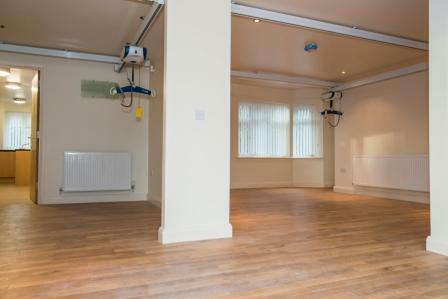 The show flat is starting to take shape, we have a few new photos to give you a sneaky peak to give you an idea of what to expect. 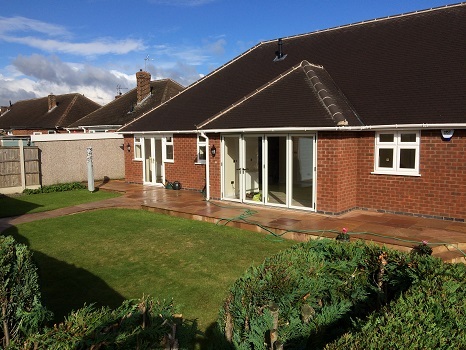 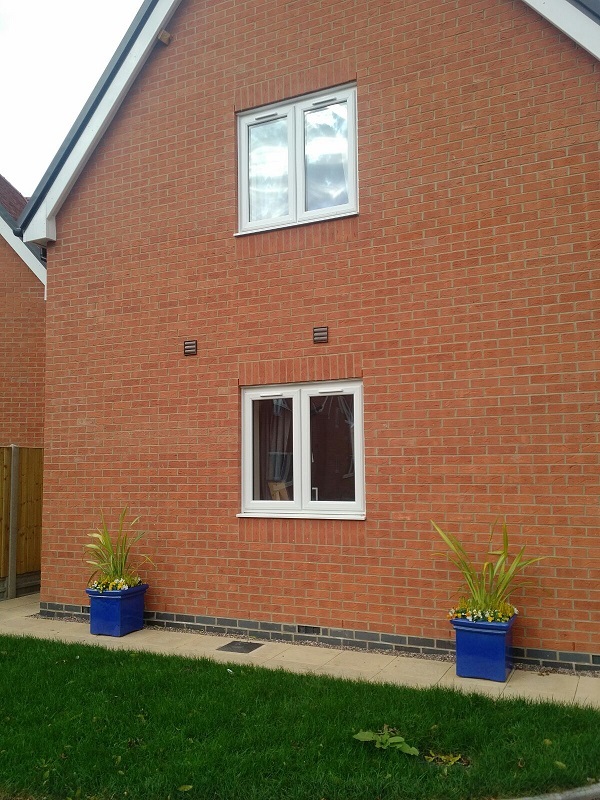 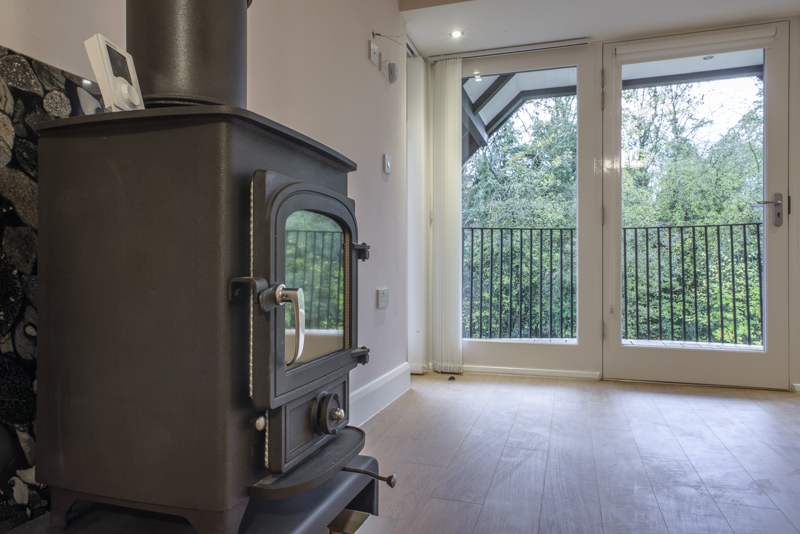 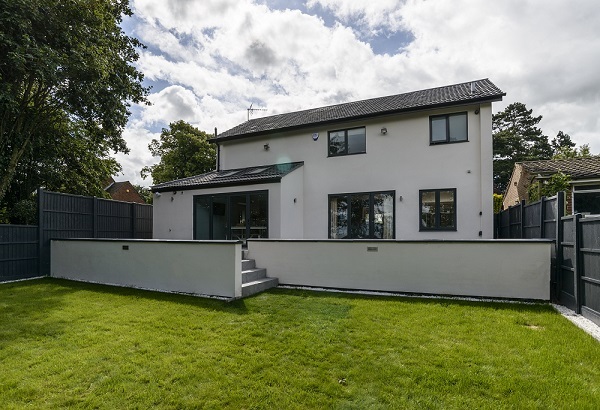 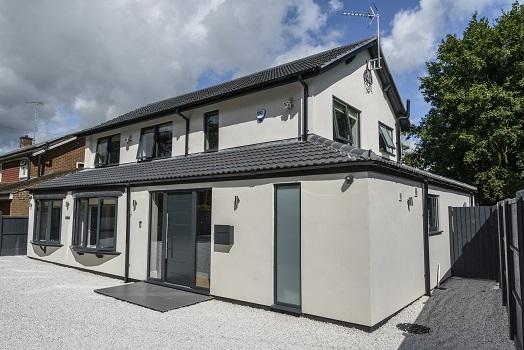 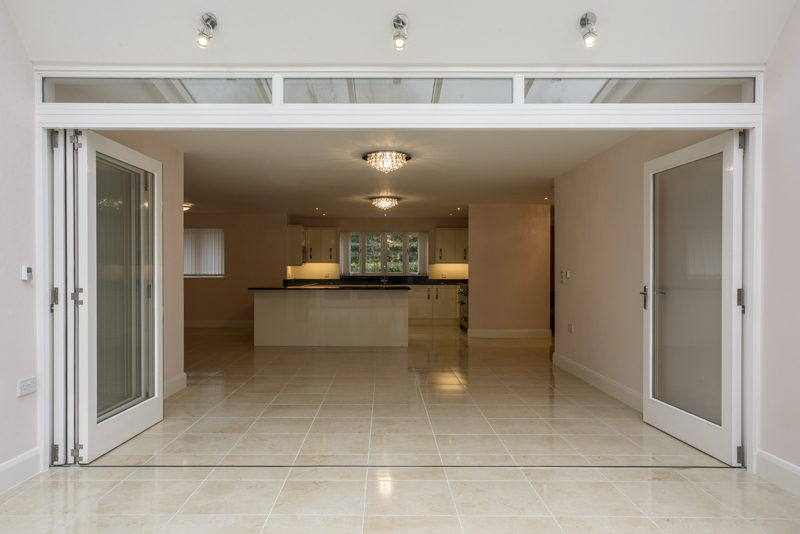 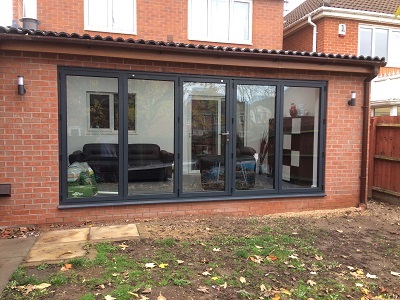 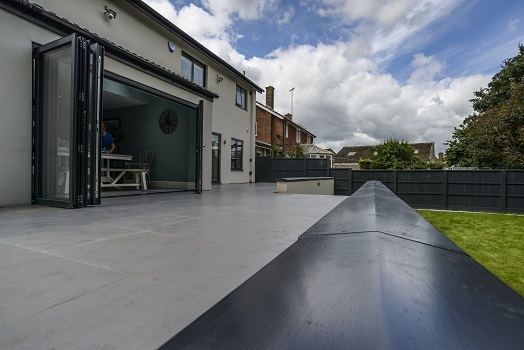 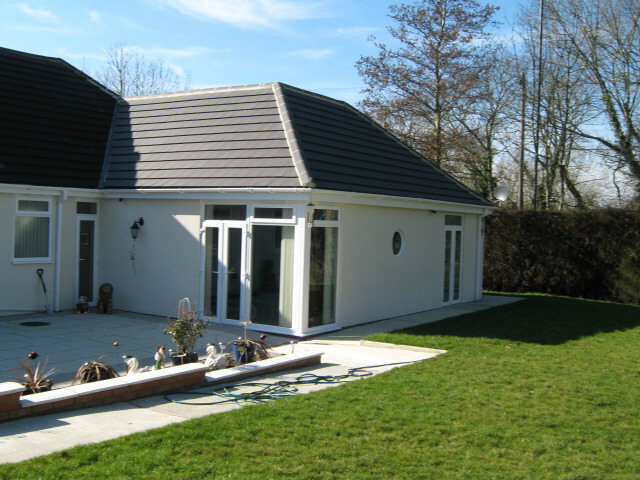 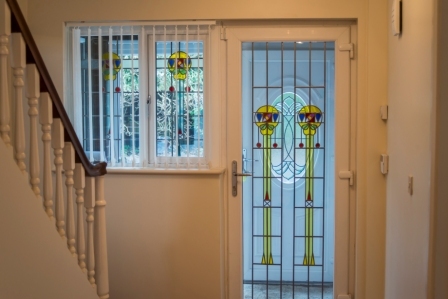 This project was a single storey rear extension & full re-render to the existing property. 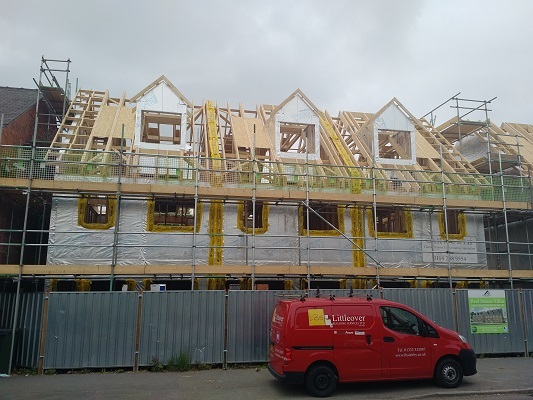 This project is twenty new timber frame houses across two sites, eight houses on one and twelve on the other. All the houses on the eight site are three bedroom townhouses. 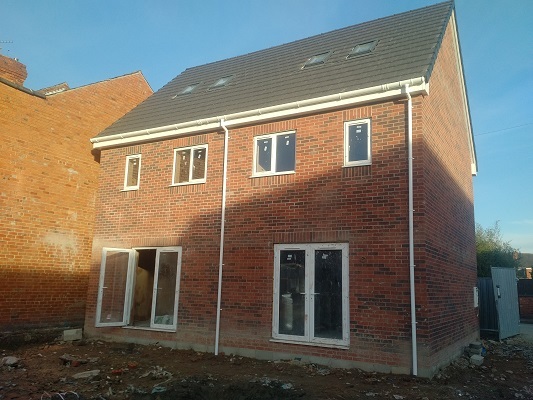 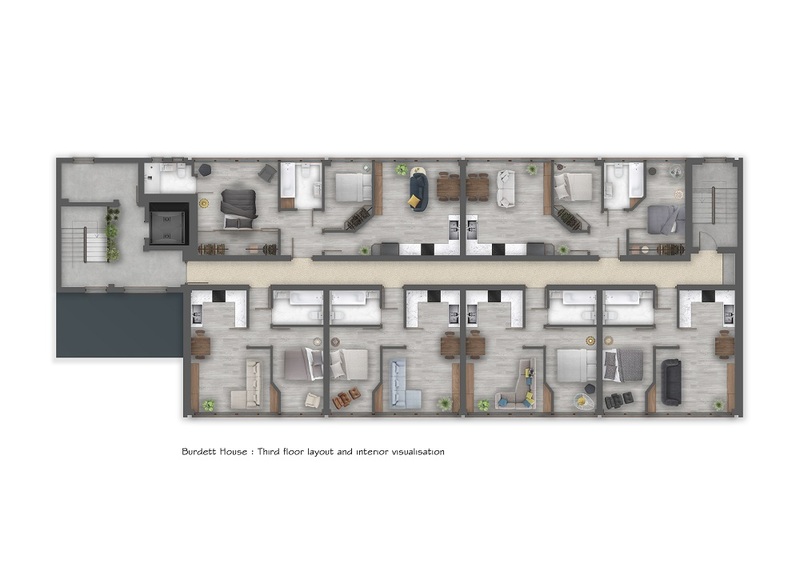 All the houses on the twelve site are three bedrooms, three of which are over two floors and the other nine over three floors. 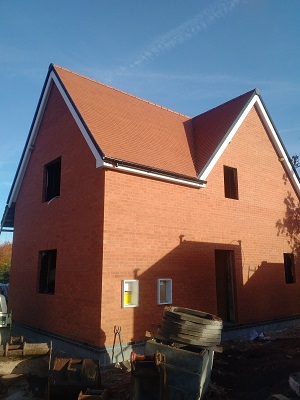 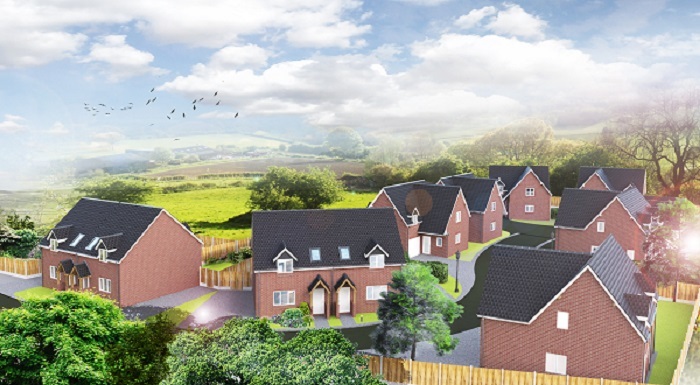 In the village of Tibberton, Shropshire, this project provides 10 new build premium homes for the local market. 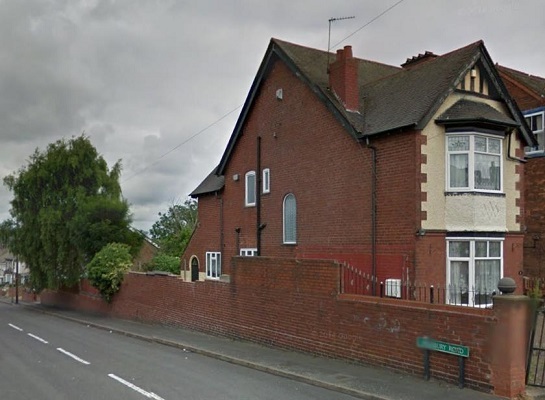 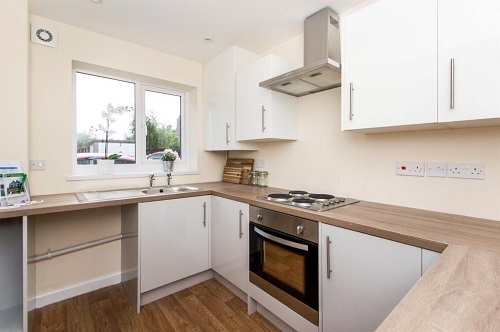 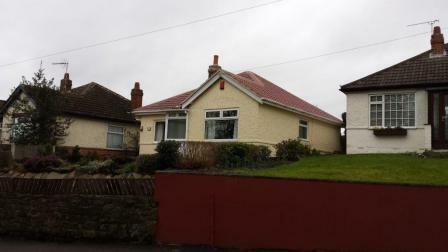 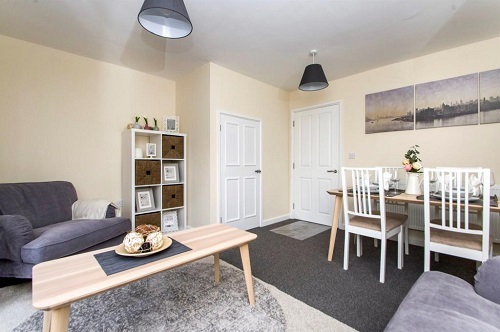 House type one, a three bedroom semi detached dwelling. 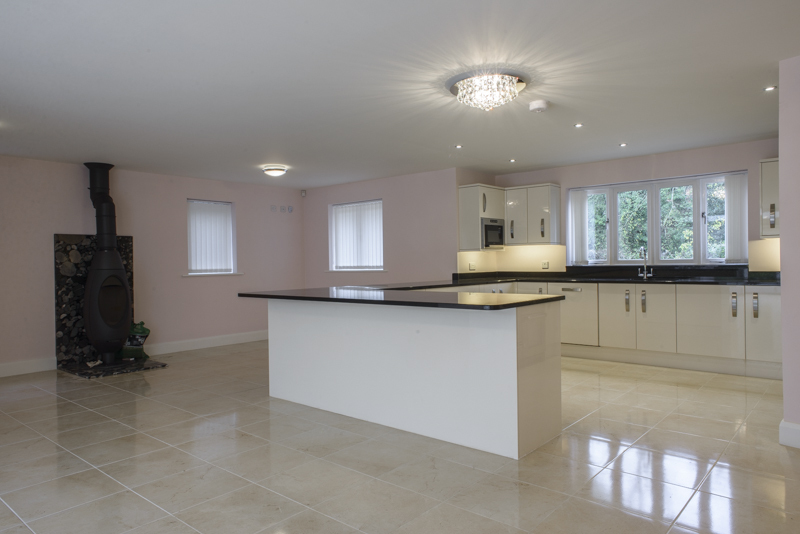 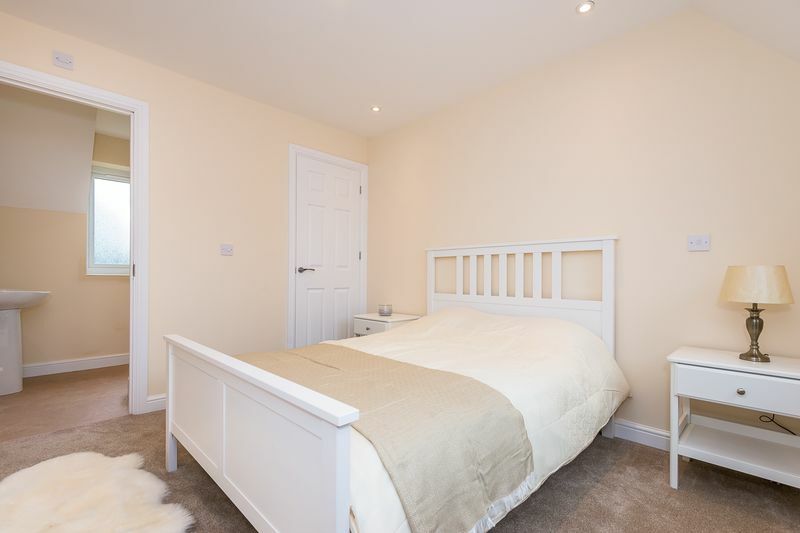 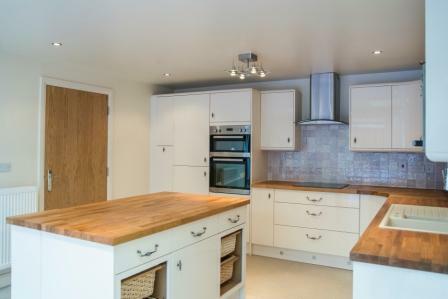 House type two, four/five bedroom detached, with detached garage block. 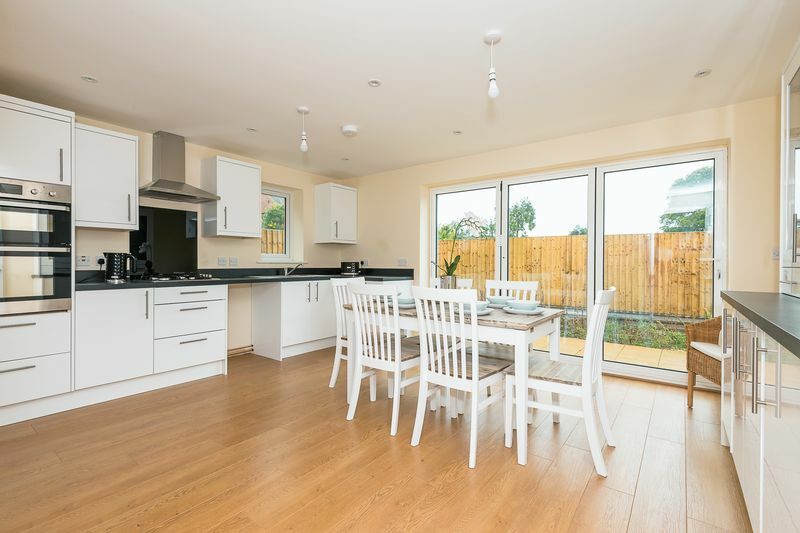 House type three, four bedroom detached, with an integral garage. 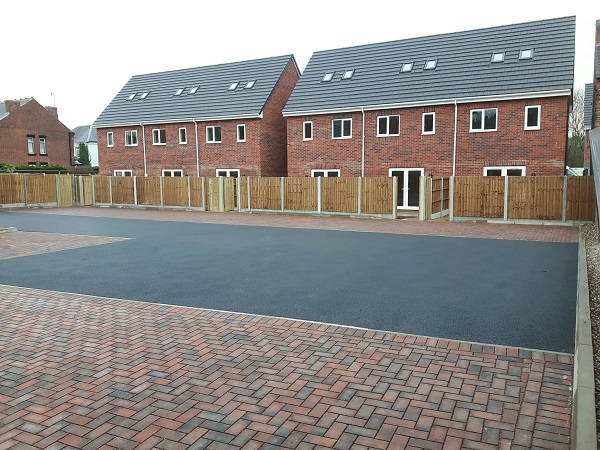 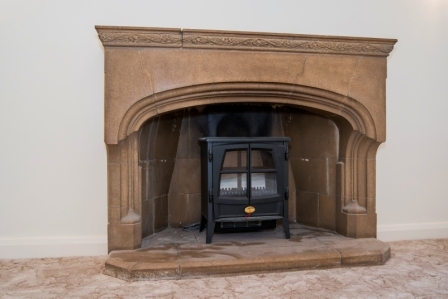 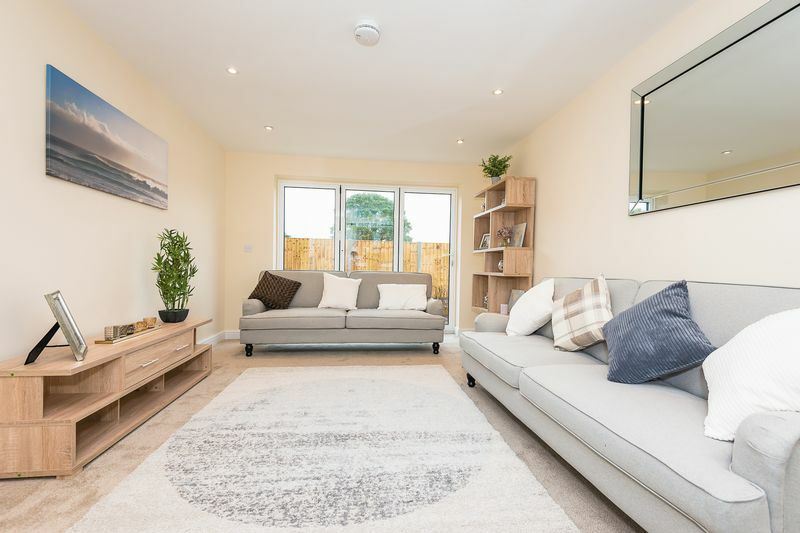 We are pleased to announce that this site is now complete with a show home. 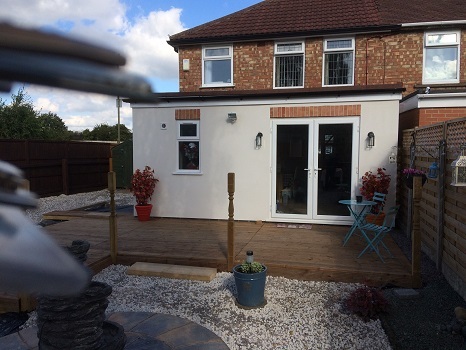 This project was a single storey side and rear extension. 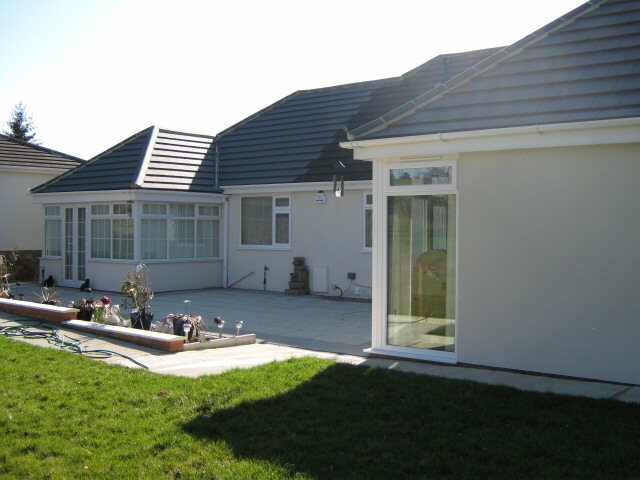 This project was a two storey side & rear extension. 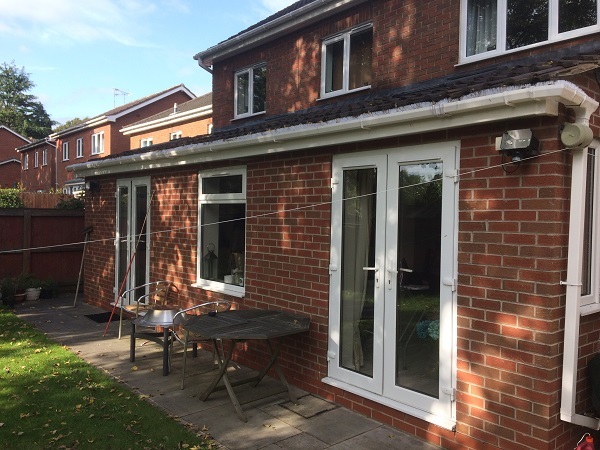 This project consisted of a single storey rear extension, as well as full refurbishment internally and a number of external alterations. 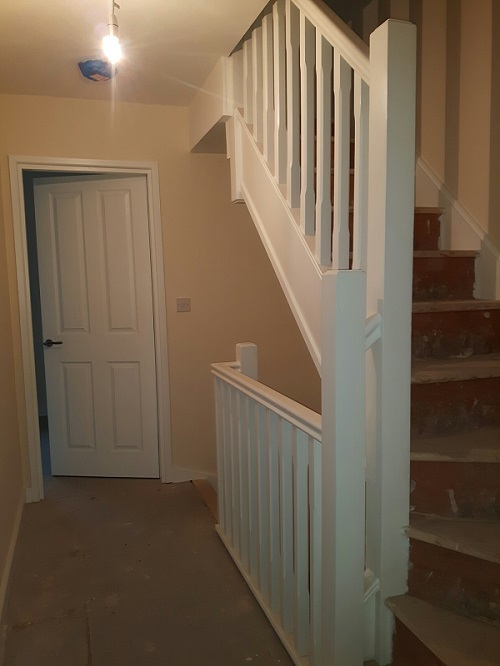 Pictures of before and after. 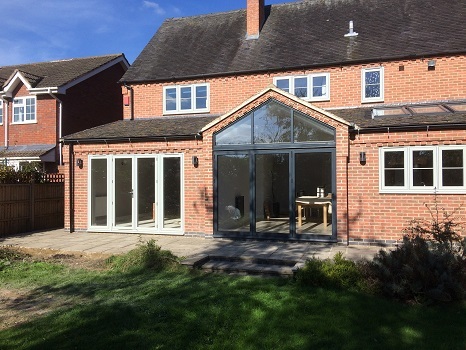 This project was a single storey rear extension. 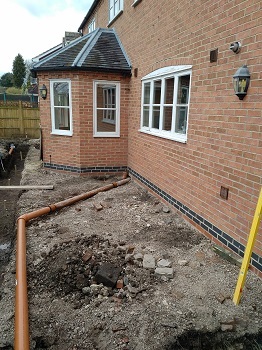 Pictures at the start of the project and on completion. 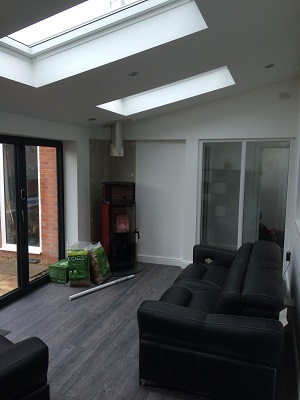 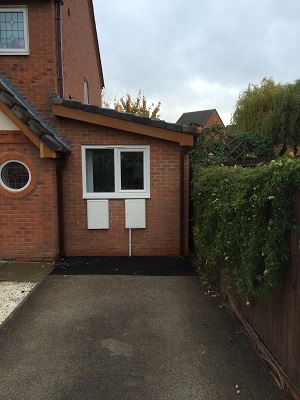 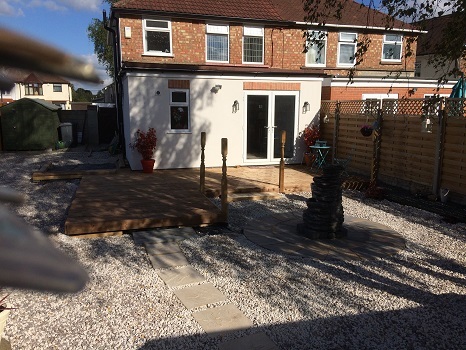 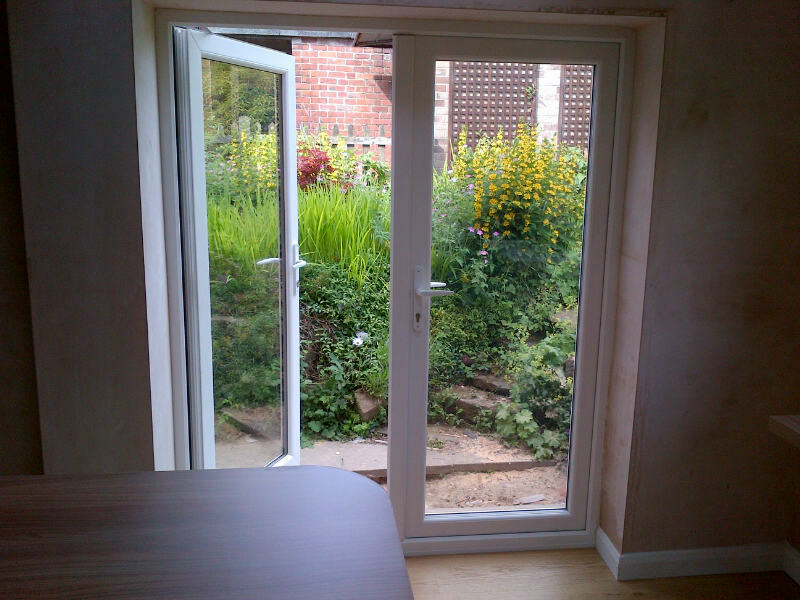 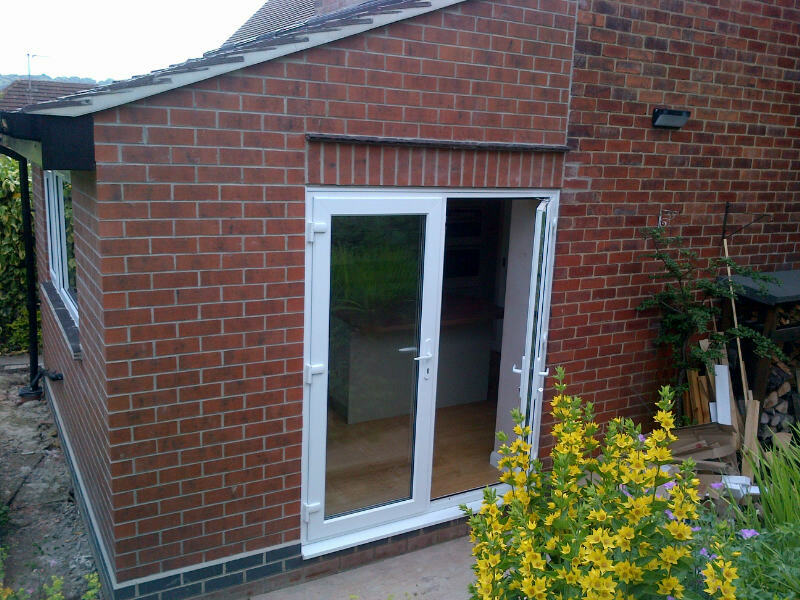 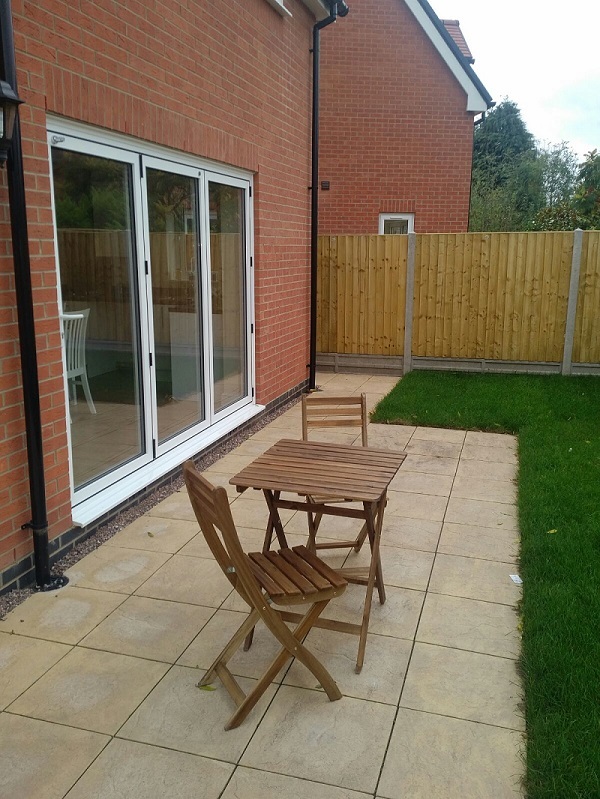 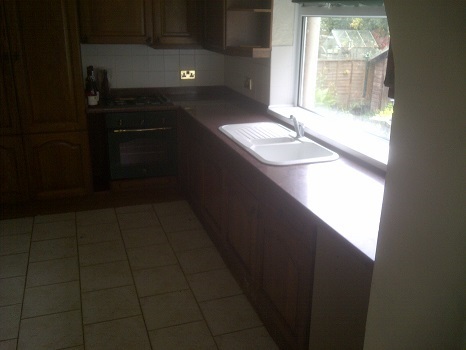 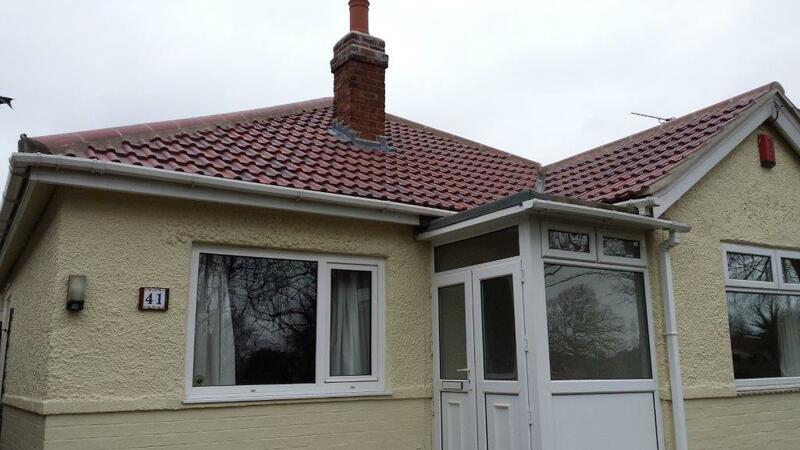 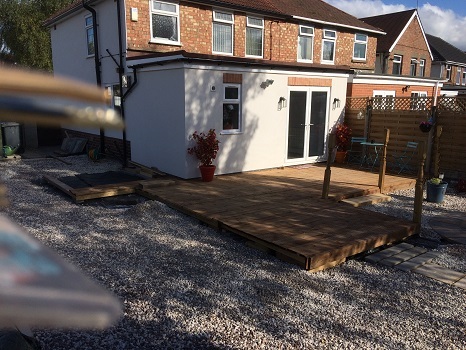 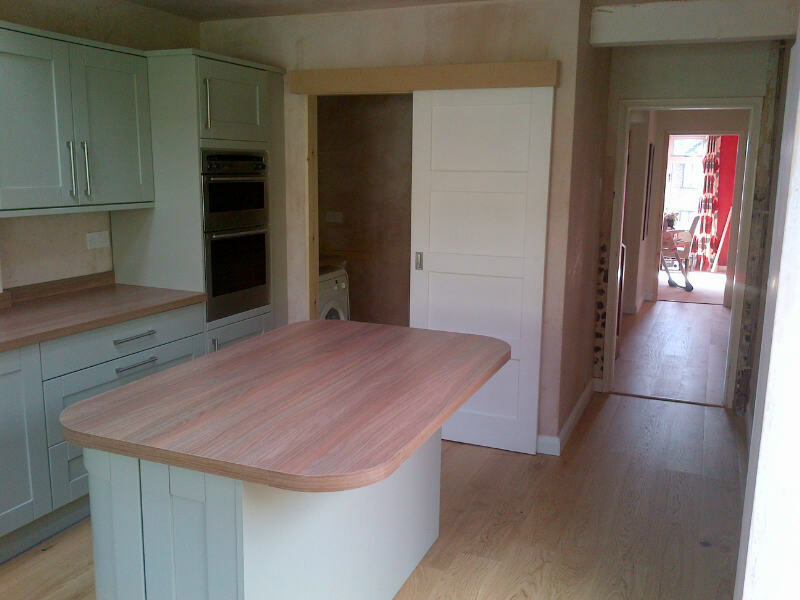 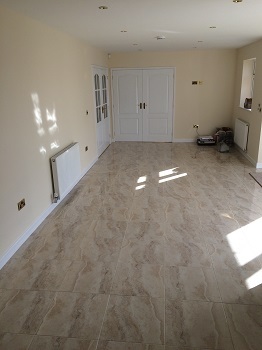 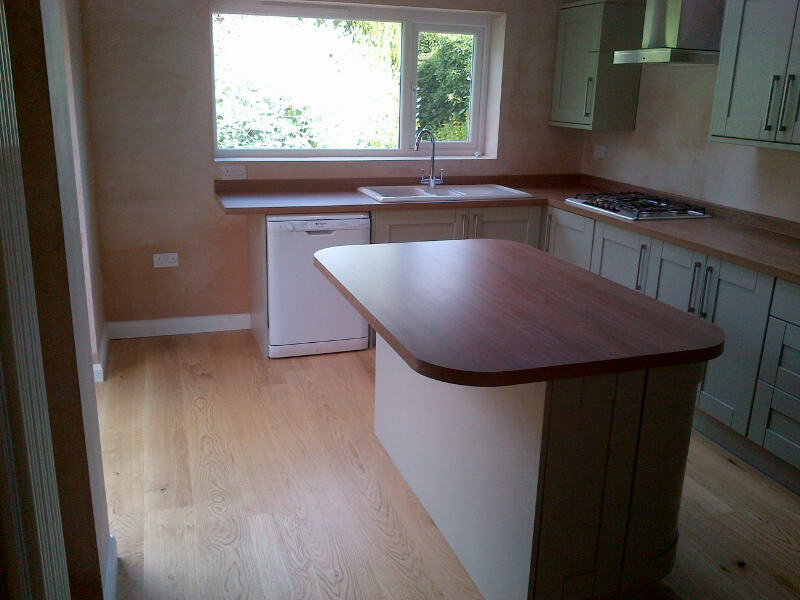 This job was a single storey rear extension with internal refurbishment including disabled adaptations. 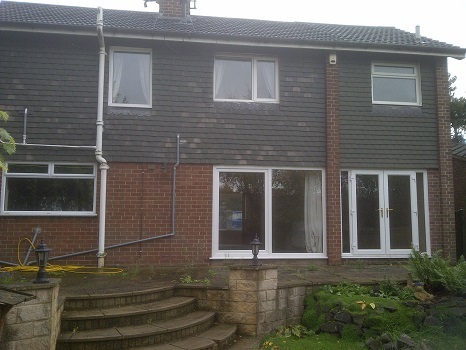 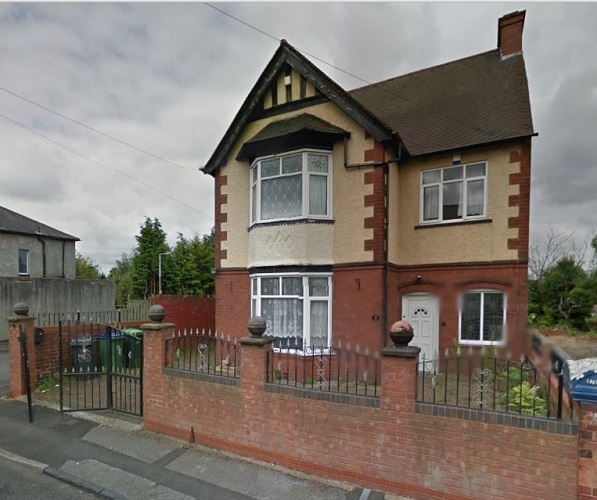 This project is a three storey rear extension with full internal refurbishment. 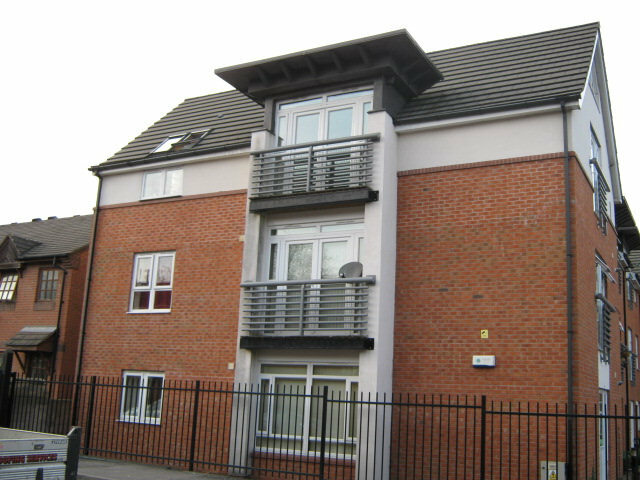 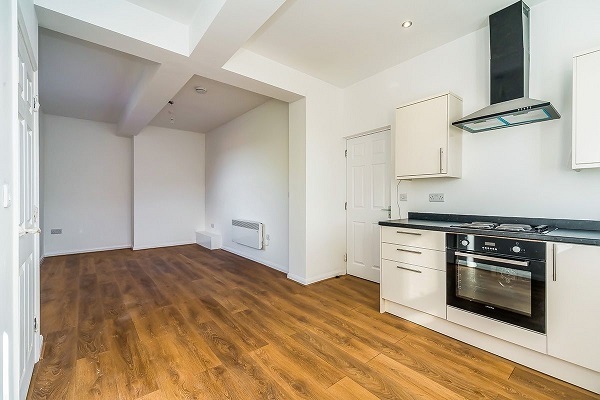 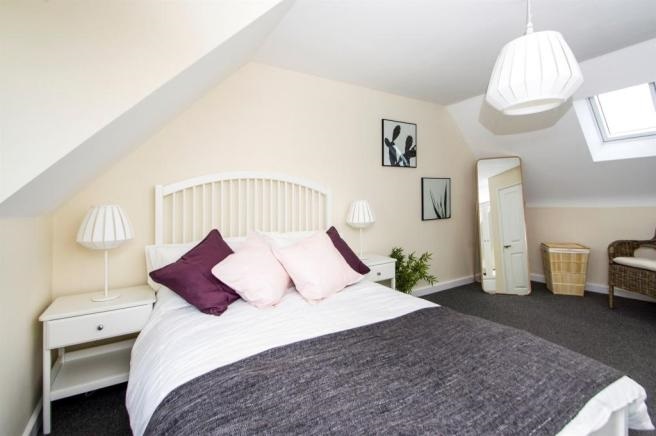 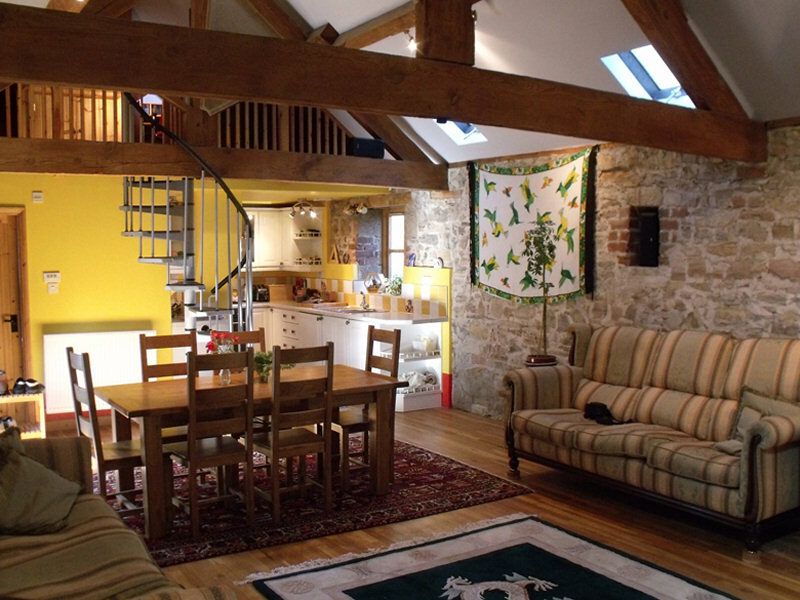 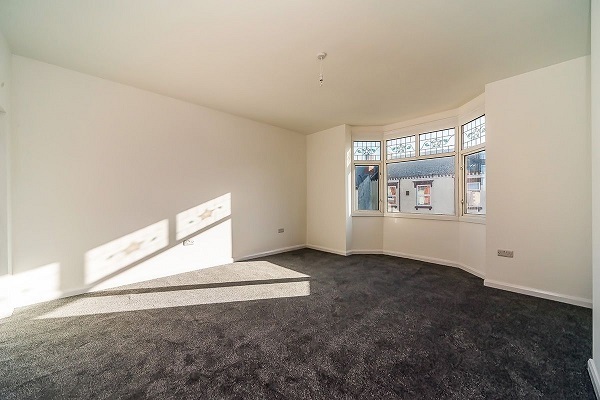 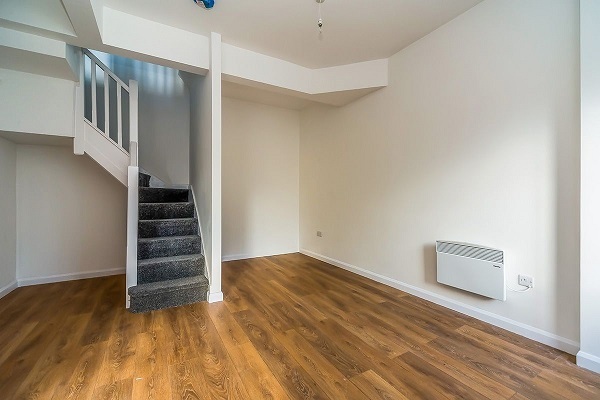 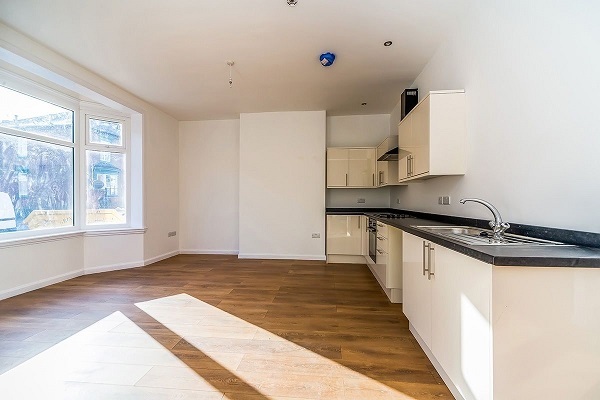 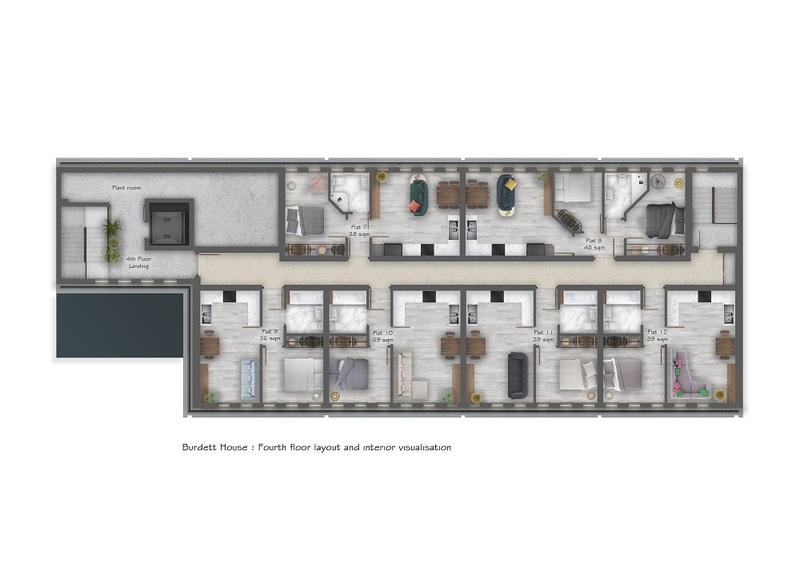 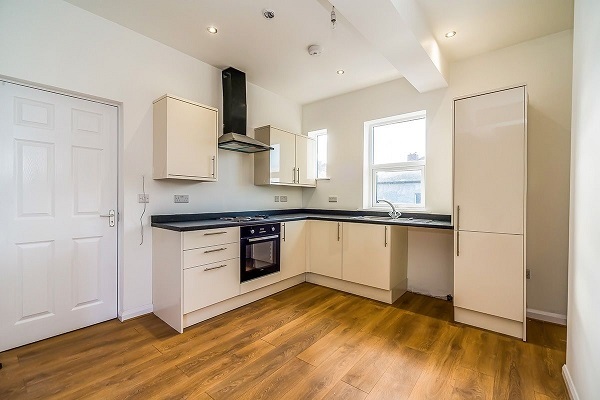 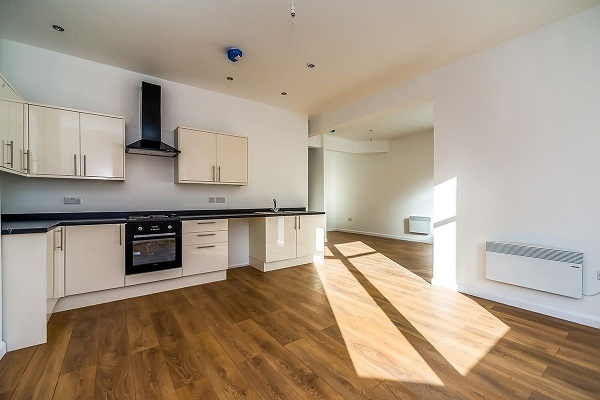 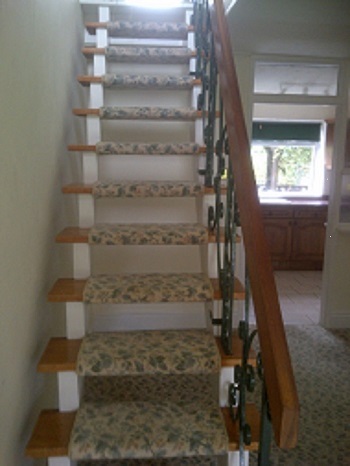 The property has been turn into five apartments, a mixture of one and two bedrooms. 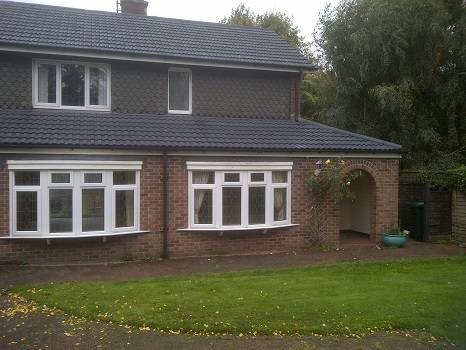 This project was a single storey rear extension. 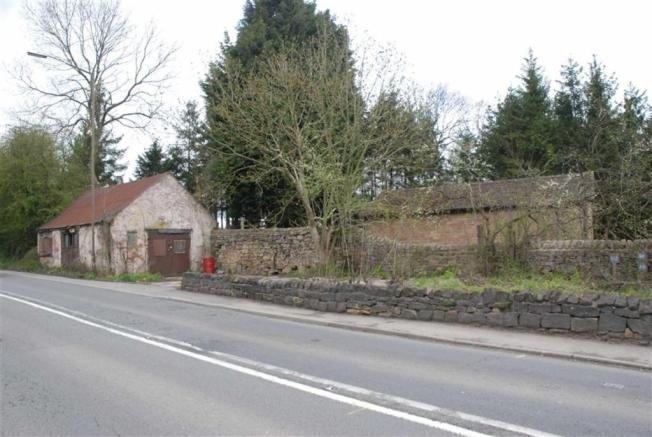 Wingfield Park, Ambergate was formally a blacksmith forge which has been demolished to make way for a new build property consisting of two new office spaces. 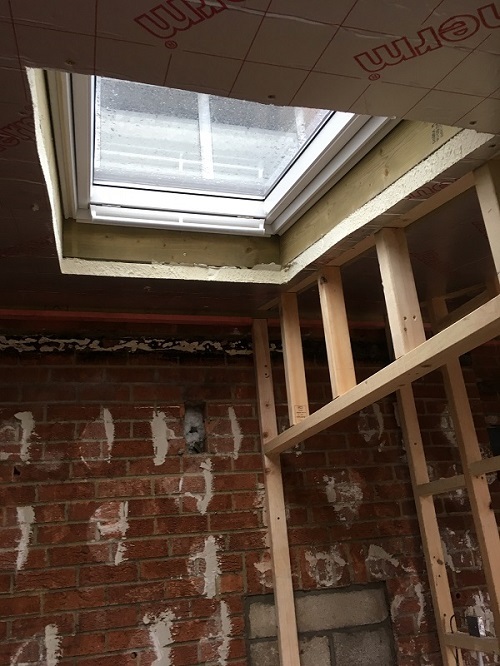 This project is a two storey flat roof rear extension with a single storey flat roof side extension to create three new flats. 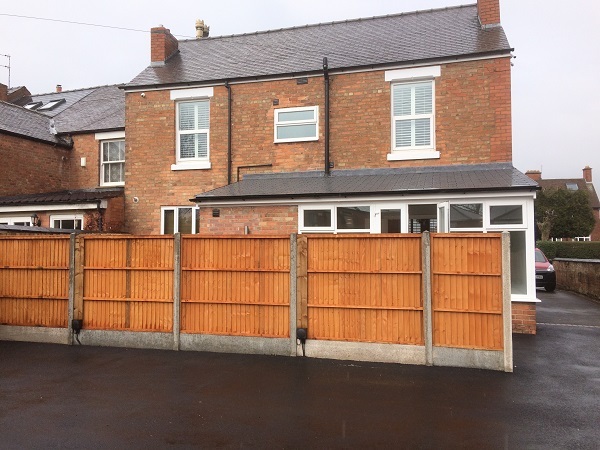 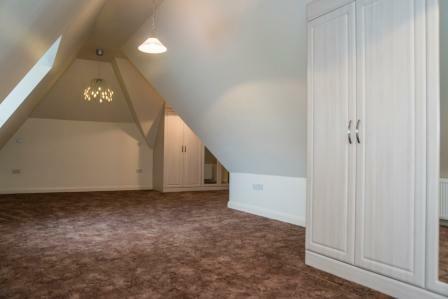 This project at Chestnut Avenue in Holbrook formally was a 3 bedroom bungalow which it being internally refubished and altered. 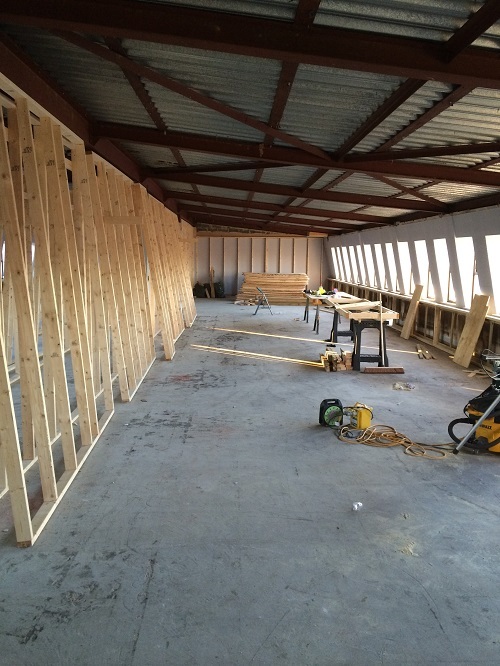 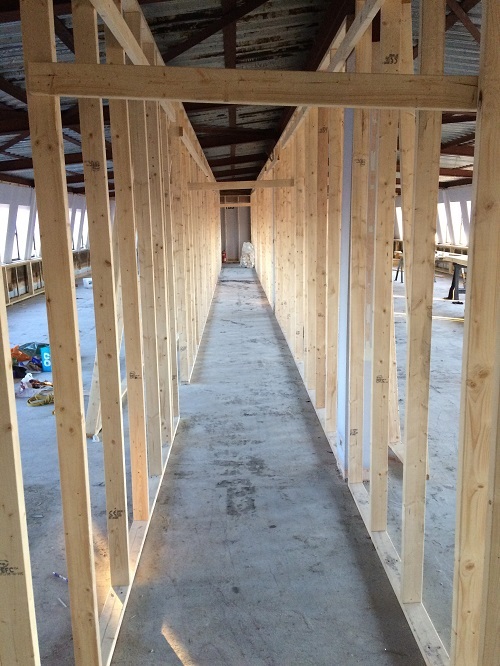 We are also creating more floor space by adding a first floor by using the telebeam system. 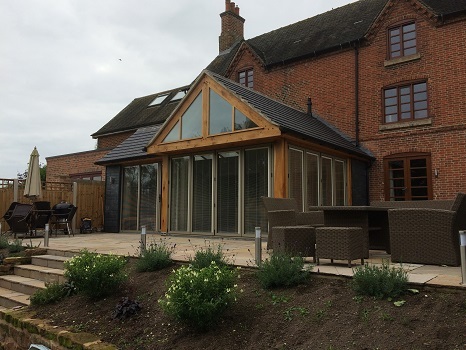 This project is a single storey rear extension with oak frame conservatory and pergola. 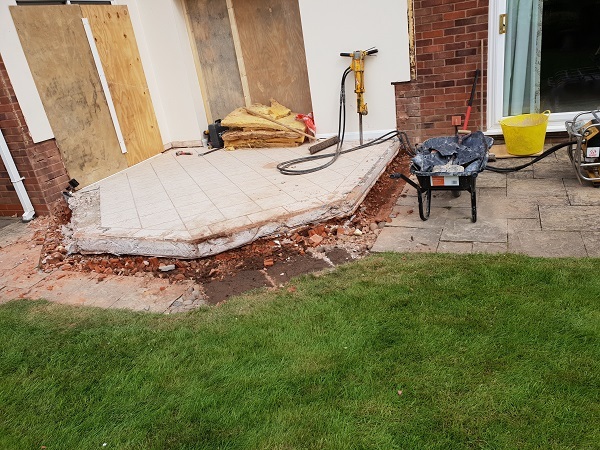 The project at Brookside Road, consisted of relaying stone slabs all the way around the property and removing part of the driveway to create an extended flower bed. 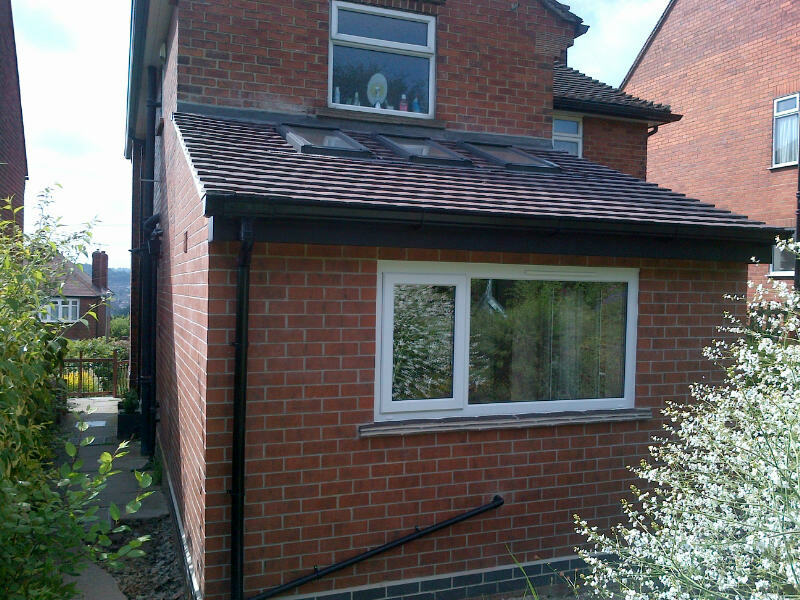 This project is a single storey rear extension. 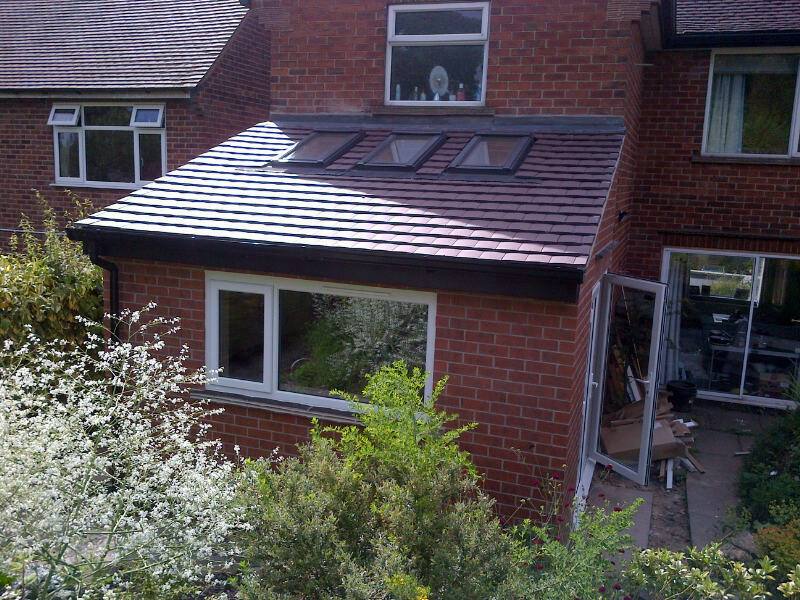 This project consided off a full re-roof as well as installing a new roof light and fully boarding out the loft space. 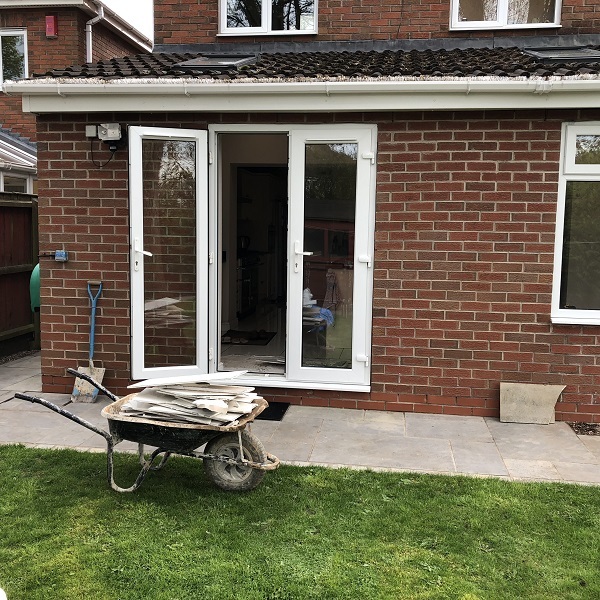 This project at Doles Lane consists of removing the existing conservatory and replacing it with a new single storey rear existing along with making some internal alterations to make a brand new kitchen/diner, along with the added extra of a beautiful sun room. 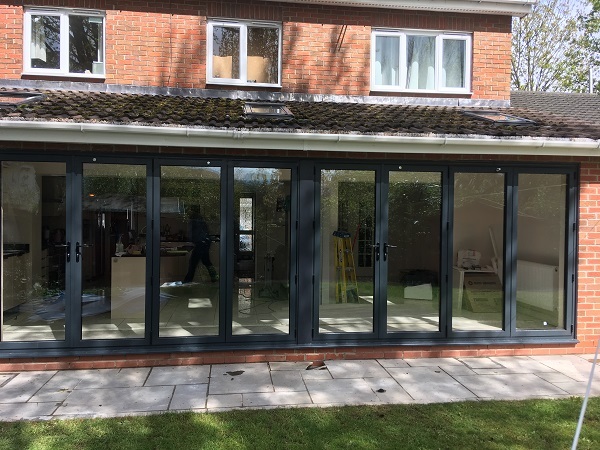 This project at Chatsworth Crescent is consisting of removing the existing conservatory and replacing it with a small extension with large glazed windows and sliding doors to create a light and airy living area. 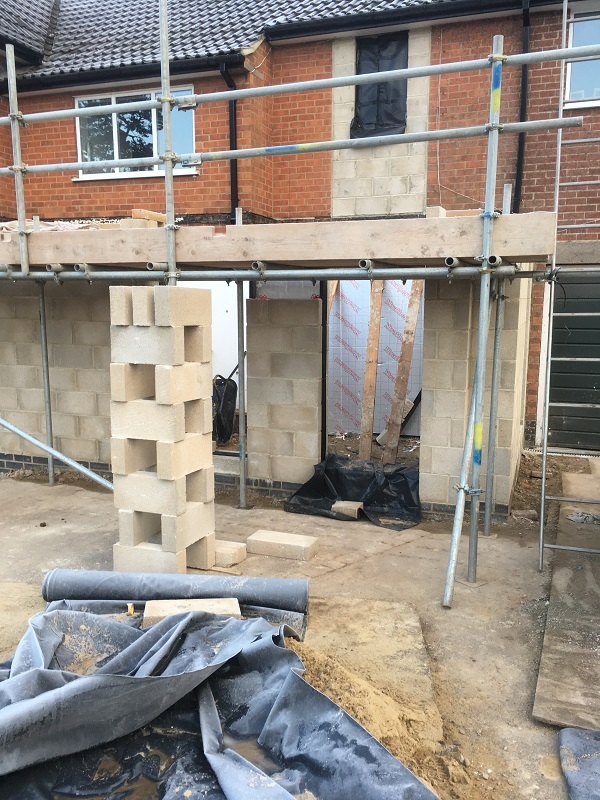 This project at Park Way is a two storey side extension to create a new large open kitchen that leads into a open planned dining room. 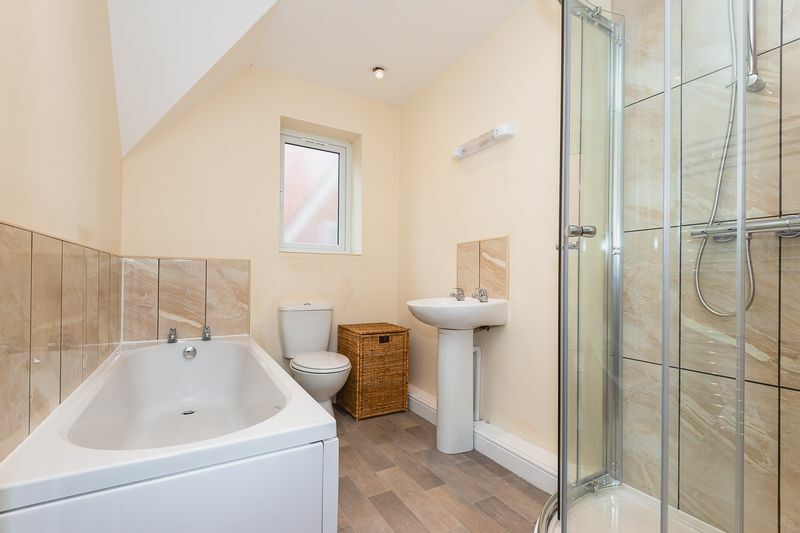 Along with a new study and down stairs cloak room. 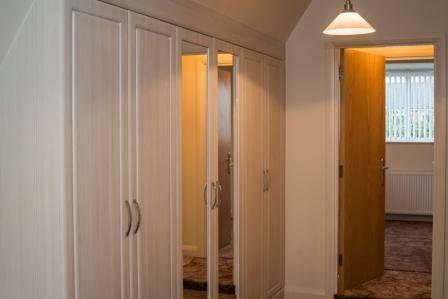 On the first floor we are creating new large master bedroom with a built in closet and en-suite. 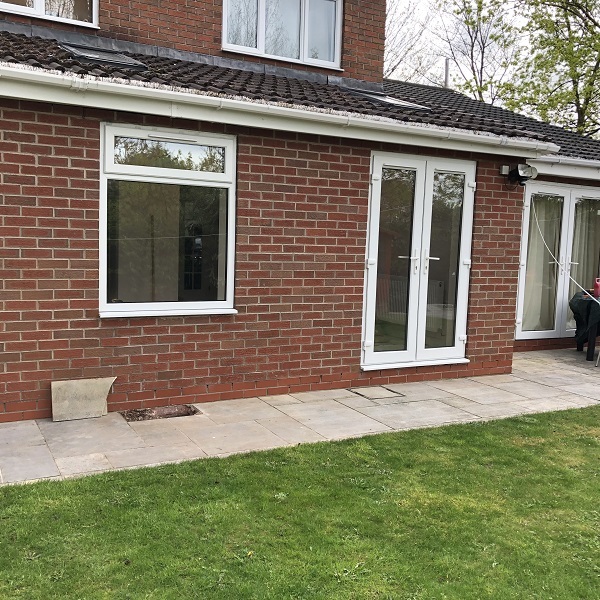 This project is consisting of a single storey front extension to create a larger porch area and a much needed dining room. 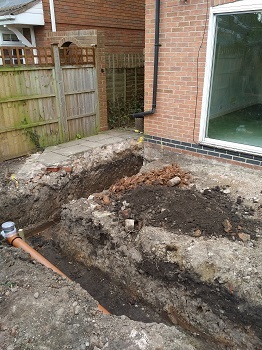 Nesfield Close, is a small project where we are constructing a new porch area with a new down stairs w.c. 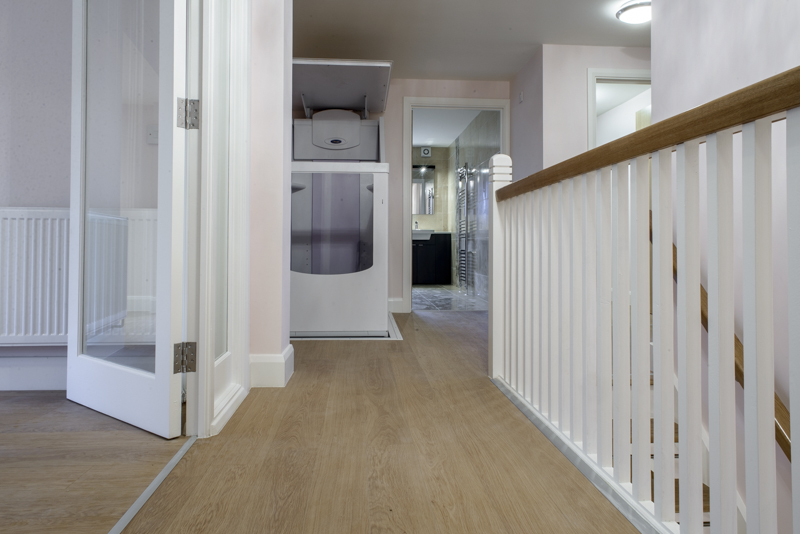 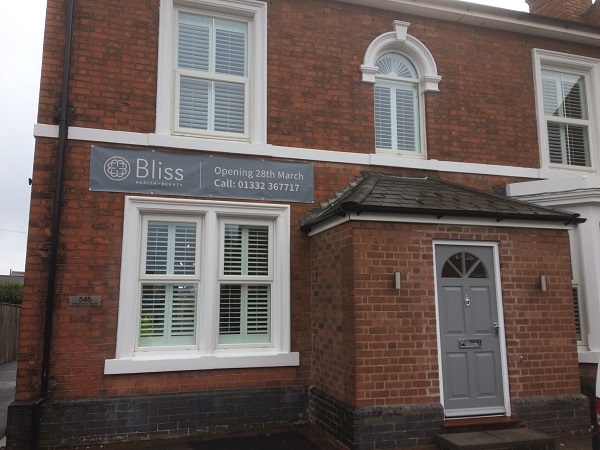 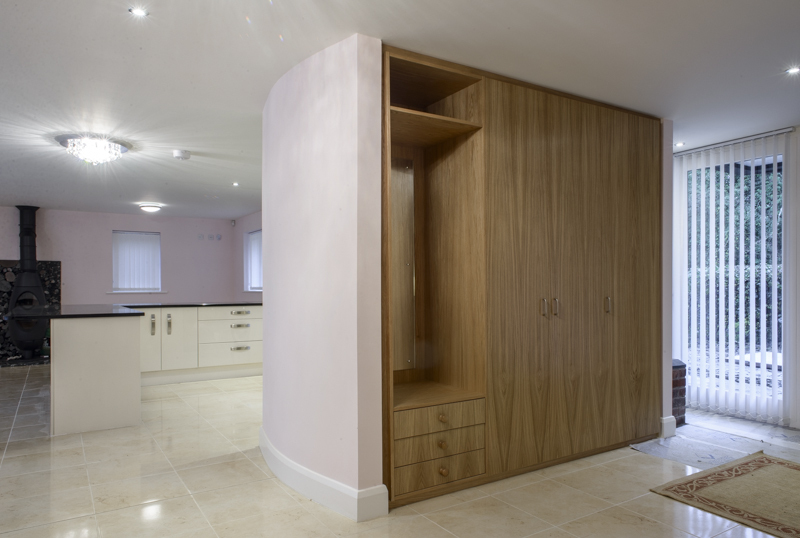 This project consisted internal alterations to create a beautiful & relaxing beauty salon. 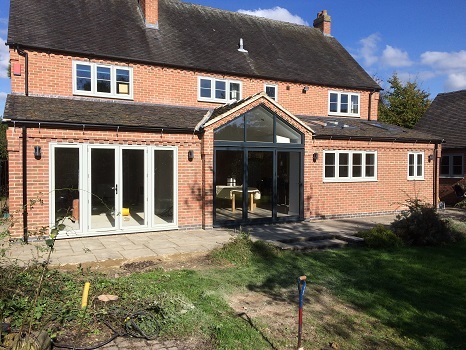 This project at Linnet Hill, we removed the rear external wall and replaced with bi-folding doors to create a brighter kitchen/diner. 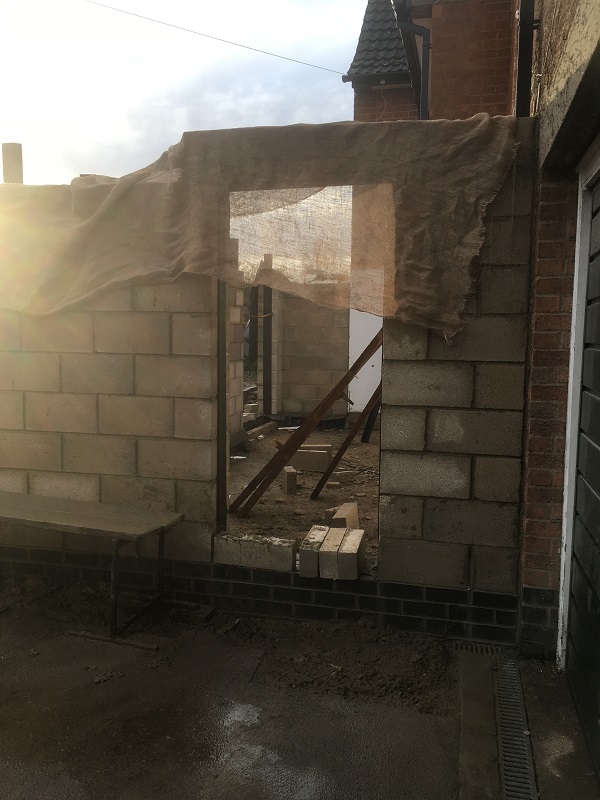 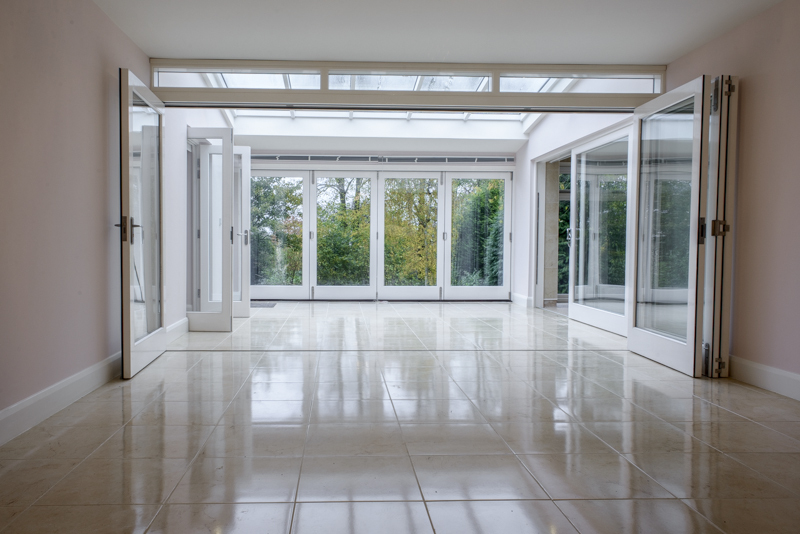 One of our latest projects will be consisting of removing the existing conservatory and building a glazed sun room, along with creating a much larger and brighter fourth bedroom. 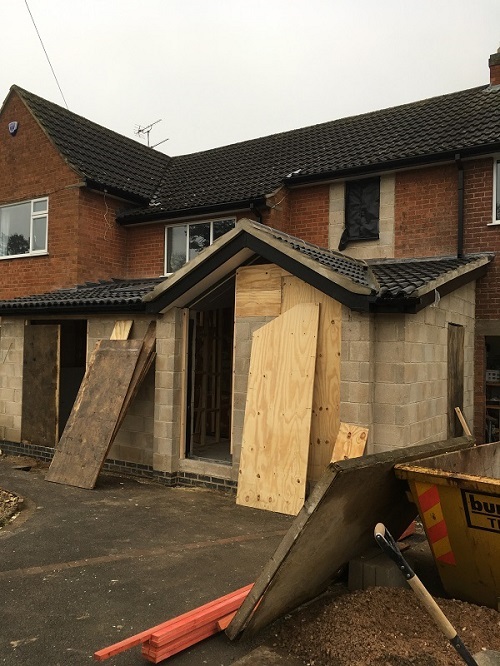 One of our latest project at Rona Close will consist of a single storey rear and side extension wish will create a large open kitchen diner, along with a much needed garage for storage.